Η βιβλιοθήκη είναι ανοιχτή στο κοινό στις ώρες λειτουργίας του προγράμματος Labattoir (Δευτέρα - Παρασκευή 10.00-18.00 και συγκεκριμένα Σαββατοκύριακα). Ο χώρος διαθέτει τραπέζια και καρέκλες, τα οποία μπορούν να χρησιμοποιηθούν ως γραφεία αλλά και γωνιές ανάγνωσης, όπου οι επισκέπτες μπορούν να χαλαρώσουν, να διαβάσουν τα σχετικά βιβλία και να πάρουν ιδέες για την πραγματοποίηση των δικών τους project. Μπορείτε να δείτε ηλεκτρονικά στην ιστοσελίδα του Labattoir τους διαθέσιμους τίτλους και φυσικά είστε ευπρόσδεκτοι να έρθετε και να τα διαβάσετε στον χώρο της βιβλοθήκης. Σύντομα θα ανακοινωθεί το πρόγραμμα μιας σειράς από reading groups αναφορικά με τη βιβλιοθήκη και το περιεχόμενο της. 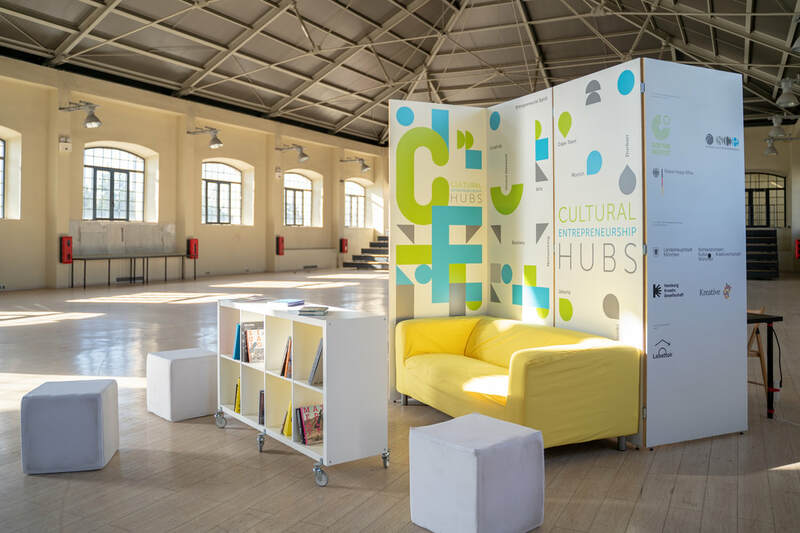 Within the framework of Cultural Entrepreneurship Hubs program by Goethe Institut, Labattoir is hosting a physical space, a small library inside the Old Municipal Slaughterhouse which aspires to be a meeting point for everyone interested in reading and exploring selected titles on creativity, art, cultural entrepreneurship and the creative industries. The Library is open to the public during the operational hours of LABattoir project (Mon - Fri 10:00-18:00 and on selected weekends). 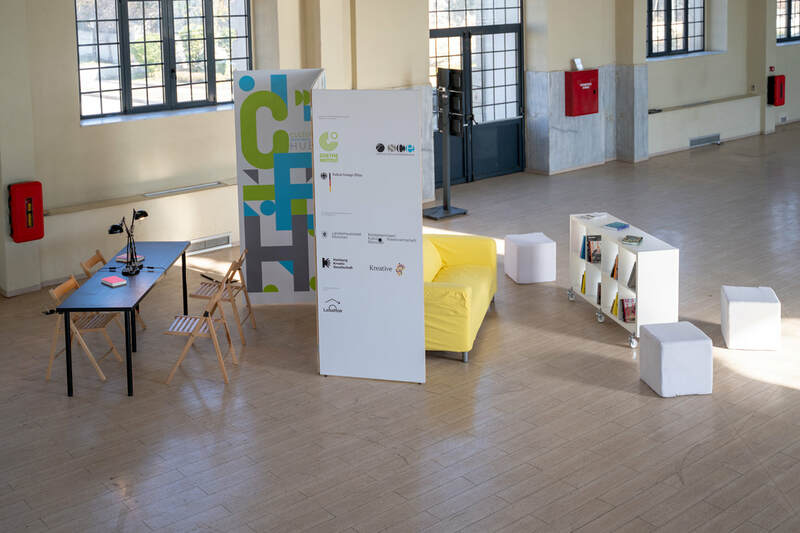 The space consists of tables and chairs that can be used as offices and a reading corner where visitors can relax, brainstorm, read relevant titles and thematics, and hopefully find inspiration for their own projects. 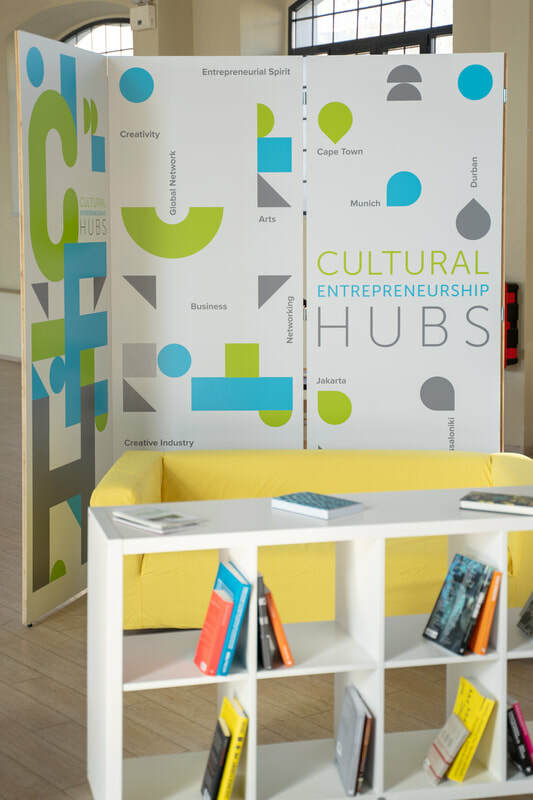 You can check online the books that are available at the moment, and of course you are more than welcomed to come and read them here in the space of LABattoir. Stay tuned for a series of reading groups that will be organised around the library and its content. Models are an essential component of the architect's design process. As tools of translation, models assist the exploration of the possible and illustrate the actual. While models have traditionally served as representational and structural studies, they are increasingly being used to suggest and solve new spatial and structural configurations. Models, the eleventh volume of the highly regarded journal 306090, explores the role of the architectural model today in relation to the idea, the diagram, the technique, and the material. 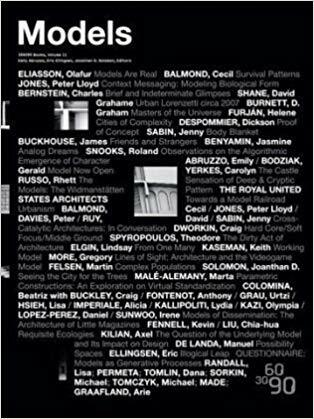 Models includes contributions from engineers, scientists, poets, painters, photographers, historians, urbanists, and architects both young and experienced. 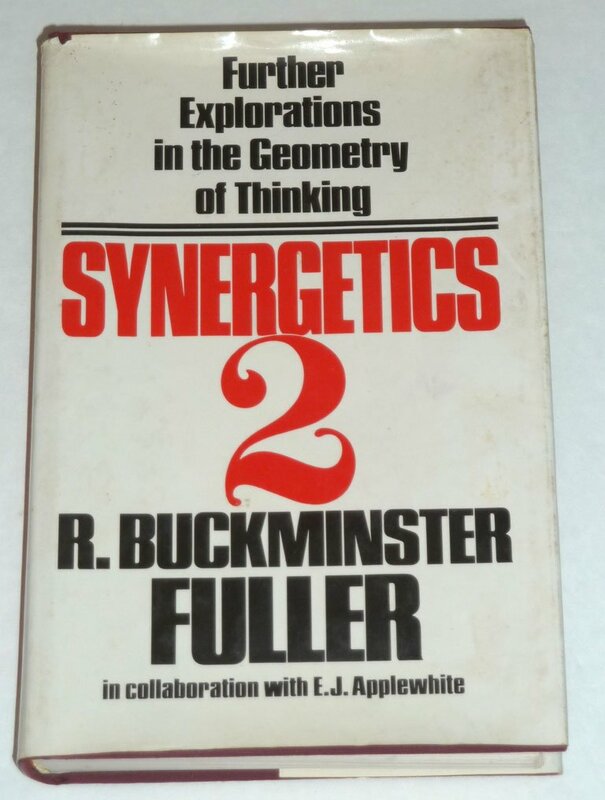 Synergetics 2 contains a ninety-page index to both volumes. They comprise a single work with the sequence of paragraphs numbered to dovetail in a single integrated narrative. They should eventually be published as a single work eliminating the artificial division into two volumes resulting from the chronology of their composition. 'Systems' gives the first comprehensive overview of Jeanne van Heeswijks socially engaged artistic practice from the past decade. 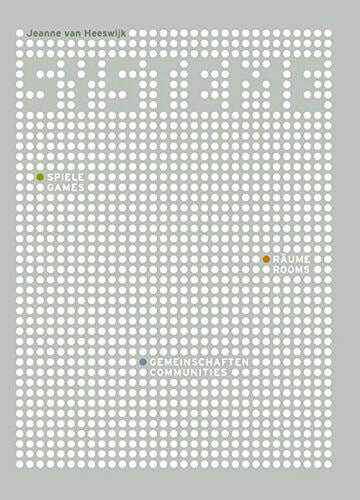 The book presents models for the design of social spaces as well as directions for the analysis of social structures. With texts by Carlos Basualdo, Marjolein Schaap and Axel Lapp. A creatively designed environment is conducive to crea - tive activities. An occupation performed in a studio or a workshop usually includes both intellectual and practical aspects. 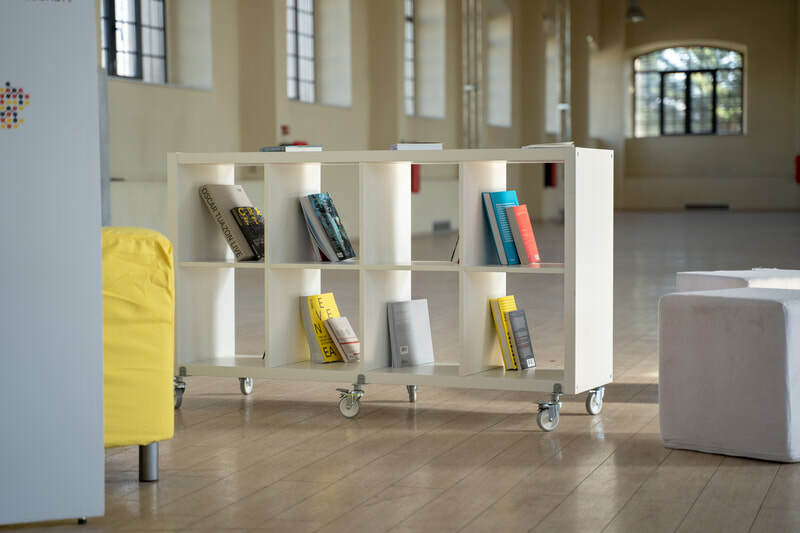 The corresponding workspace must therefore have the characteristics of an office, while functioning as a place for production at the same time. Depending on the field of work, either one of these aspects can be more prominent, yet the aim is always to put constructive potentials into practice to achieve the best possible results. 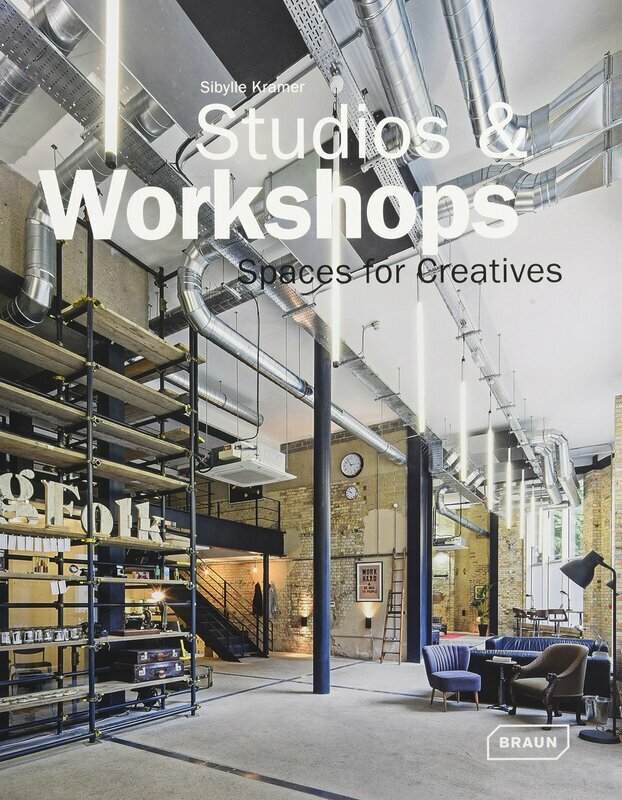 The projects presented in this volume include advertising agencies and product design work - shops, fashion and photographic studios, and – of course – architecture and interior design firms. The spaces for creative labor can be opulent, ascetic, bright, fancy, struc - tured, colorful, elegant – or even something completely different. 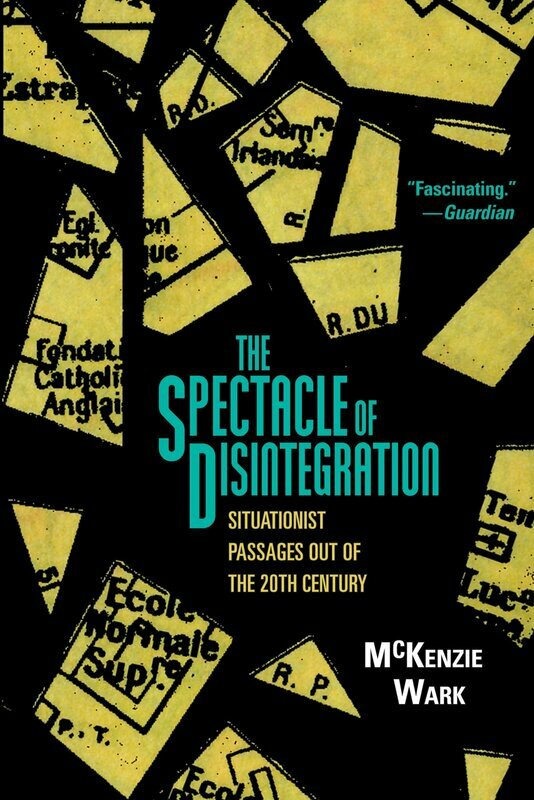 At once an extraordinary counter history of radical praxis and a call to arms in the age of financial crisis and the resurgence of the streets, The Spectacle of Disintegration recalls the hidden journeys taken in the attempt to leave the twentieth century, and plots an exit from the twenty first. The dustjacket unfolds to reveal a fold-out poster of the collaborative graphic essay combining text selected by McKenzie Wark with composition and drawings by Kevin C. Pyle. 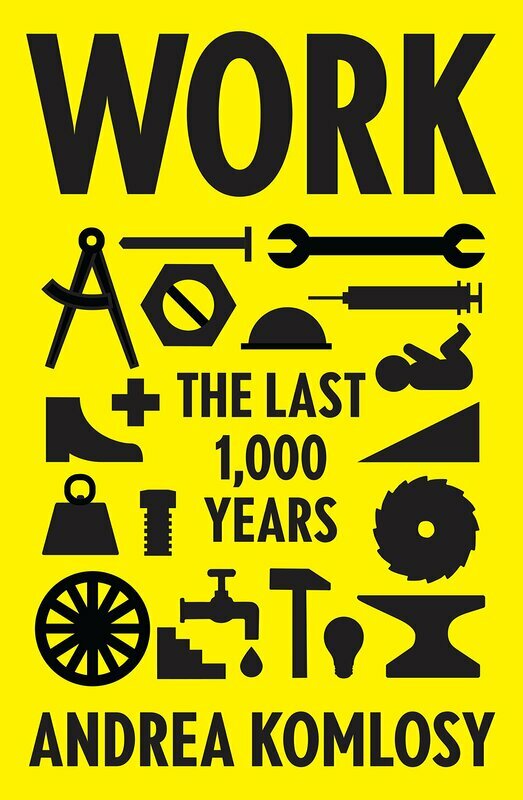 Tracing the complexity and contradictory nature of work throughout historySay the word “work,” and most people think of some form of gainful employment. Yet this limited definition has never corresponded to the historical experience of most people—whether in colonies, developing countries, or the industrialized world. 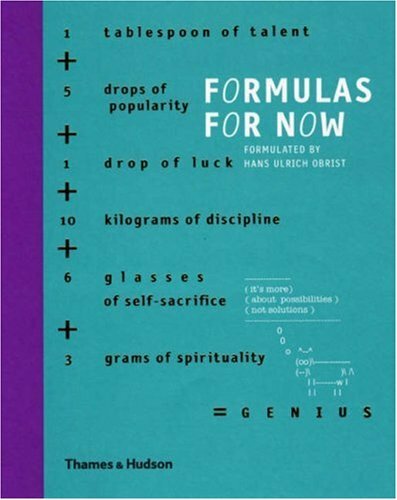 For all the contributors to this unique volume—including eminent minds from the fields of art, science, mathematics, performance, architecture, design, literature, and sociology—the formula is a fruitful way of investigating the nature of human existence. Selected especially for the book, more than one hundred invited participants have produced or chosen their own personal formulas to express the realities of contemporary life and to offer a means of negotiating a path through it. At times quirky and idiosyncratic, witty and playful, some of the formulas here register an indisputable fact or propose a speculative idea; others provide a method of bringing order to a complex universe—or point to the impossibility of doing so; still others suggest propositions for a better future. Together they help us understand who we are and the world in which we live. 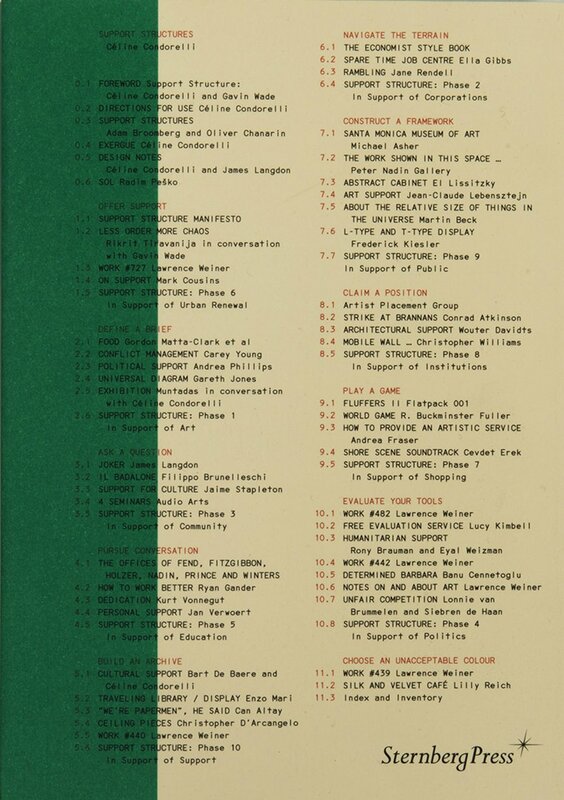 Contributors include Marina Abramovic; David Adjaye; John Baldessari; Matthew Barney; Louise Bourgeois; Thomas Demand; Elizabeth Diller; Olafur Eliasson; Brian Eno; Damien Hirst; Rem Koolhaas; Jeff Koons; Harry Mathews; Yoko Ono; Gerhard Richter; Nancy Spero; Rosemarie Trockel; Wang Jian Wei; James Watson. 105 illustrations, 48 in color. 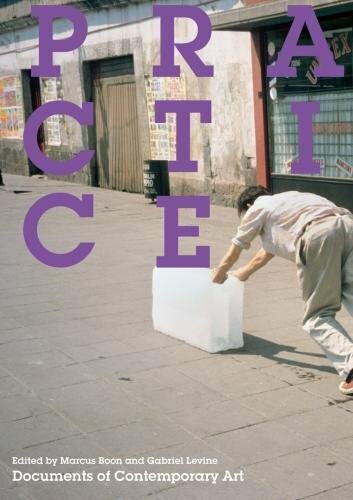 The first anthology to investigate what contemporary notions of practice mean for art, tracing their development and speculating on where this leads.“Practice” is one of the key words of contemporary art, used in contexts ranging from artists' descriptions of their practice to curatorial practice, from social practice to practice-based research. This is the first anthology to investigate what contemporary notions of practice mean for art, tracing their development and speculating on where this leads. Reframing the question of practice offers new ways of reading the history of art and of evaluating particular forms of practice-based art. Once used to denote “doing,” as distinct from thinking and making, today the term can convey associations of political action (praxis), professional activity, discipline, or rehearsal, and signal a shift away from the self-enclosed artwork or medium to open-ended actions, series, processes, and projects. Although the turn to practice might promise freedom from finality or eventfulness, it also reflects the neoliberal pressures to train oneself, to perform, and to rehearse a marketable set of skills. 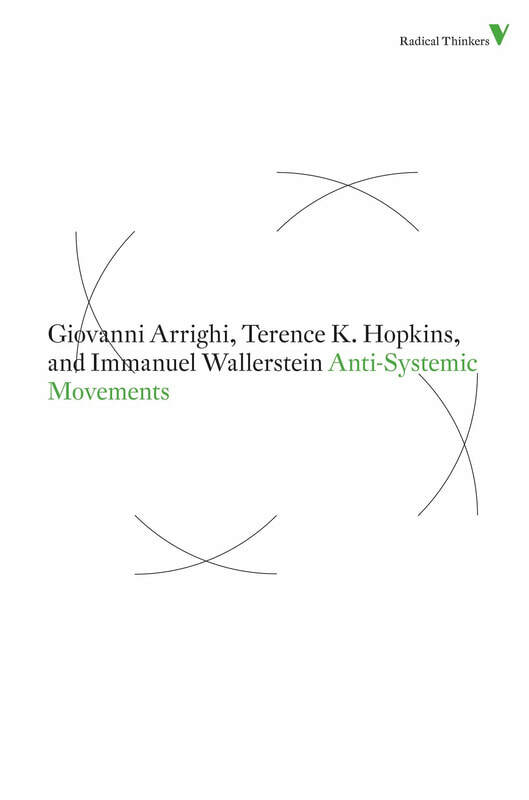 This book offers an indispensible guide to the art history and theoretical framework of art-as-practice, clarifying the complex issues at stake in thinking about and enacting practice. Biemann, Gavin Bridge, Lonnie van Brummelen & Siebren de Haan and T. J. A passionate call to rediscover the political and emotional joy that emerges when we share our livesIn an era of increasing individualism, we have never been more isolated and dispirited. A paradox confronts us. While research and technology find new ways to measure contentment and popular culture encourages us to think of happiness as a human right, misery is abundant. 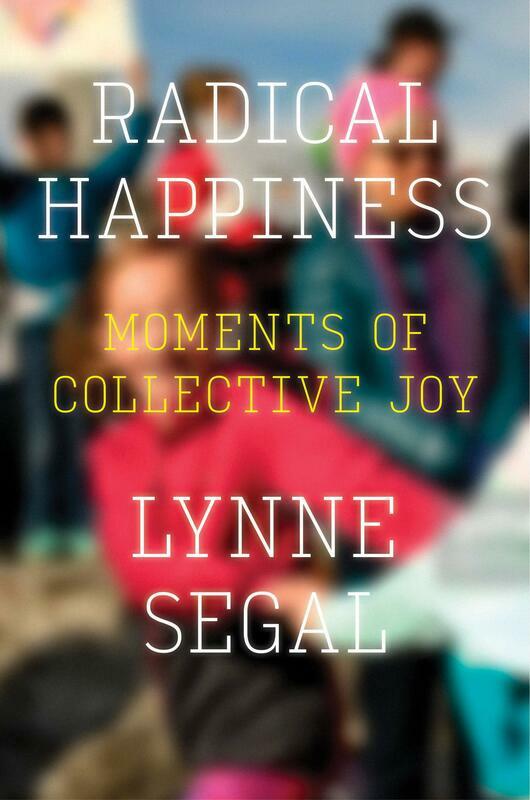 ​In this brilliant and provocative book, Segal proposes that the power of true happiness can only be discovered collectively. "For too long Social Practice has been the notoriously flimsy flipside of market-based contemporary art: a world of hand-wringing practitioners easily satisfied with the feeling of 'doing good' in a community, and unaware that their quasi-activist, anti-formalist positions in fact have a long artistic heritage and can be critically dissected using the tools of art and theatre history. Helguera's spunky primer promises to offer a much-needed critical compass for those adrift in the expanded social field." 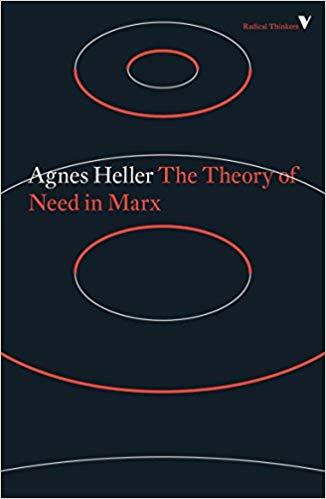 -Claire Bishop, Professor of Contemporary Art and Exhibition History, CUNY, and author of Artificial Hells: Participatory Art and the Politics of Spectatorship "This is an extremely timely and thoughtful reference book. 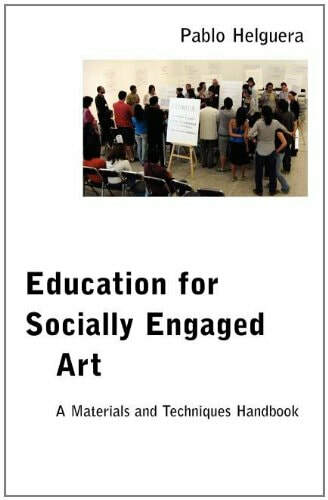 Drawn from empirical and extensive experience and research, it provides a curriculum and framework for thinking about the complexity of socially engaged practices. Locating the methodologies of this work in between disciplines, Helguera draws on histories of performance, pedagogy, sociology, ethnography, linguistics, community and public practices. Rather than propose a system he exposes the temporalities necessary to make these situations possible and resonant. 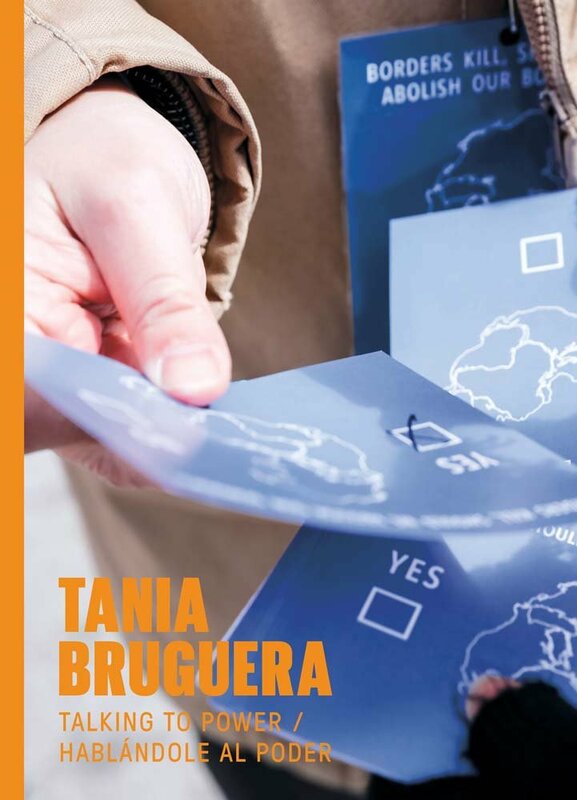 This is a tool that will allow us to consider the difficulties of making socially engaged art and move closer to finding a language through which we can represent and discuss its impact." -Sally Tallant, Artistic Director, Liverpool Biennial "Helguera has produced a highly readable book that absolutely needs to be in the back pocket of anyone interested in teaching or learning about socially engaged art" -Tom Finkelpearl, Director of the Queens Museum, New York, and author of Dialogues in Public Art. 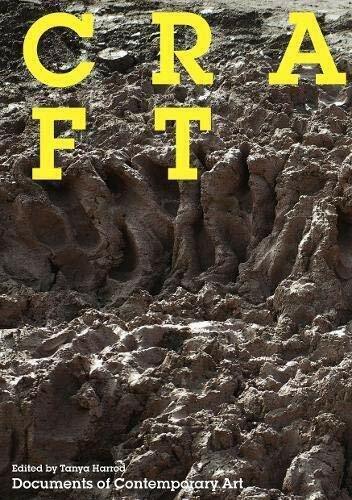 A secret history of craft told through lost and overlooked texts that illuminate our understanding of current art practice.“Craft” is a contested concept in art history and a vital category through which to understand contemporary art. Through craft, materials, techniques, and tools are investigated and their histories explored in order to reflect on the politics of labor and on the extraordinary complexity of the made world around us. This anthology offers an ethnography of craft, surveying its shape-shifting identities in the context of progressive art and design through writings by artists and makers as well as poetry, fiction, anthropology, and sociology. It maps a secret history of craft through lost and overlooked texts that consider pedagogy, design, folk art, the factory, and new media in ways that illuminate our understanding of current art practice. Recently, the idea of craft has been employed strategically: to confront issues of gender or global development, to make a stand against artistic academicism, or to engage with making processes―some distinctly archaic―employed to suggest the abject and the everyday. Craft activism, or craftivism, suggests a new political purpose for the handmade. 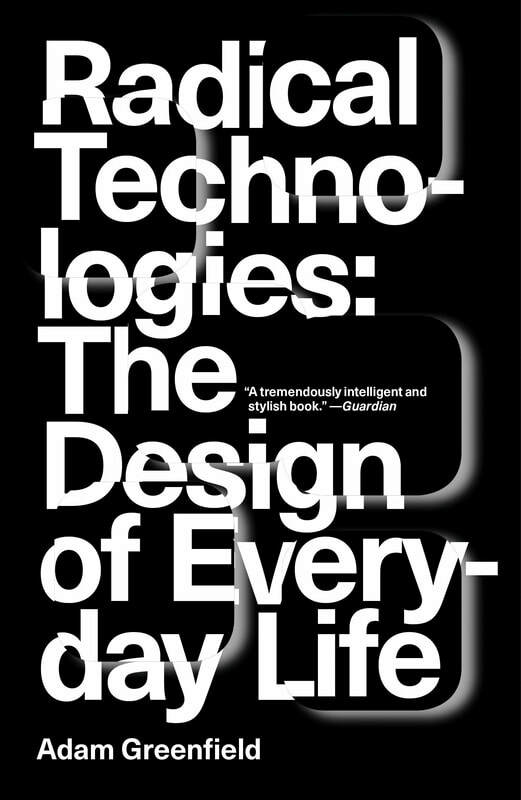 Deep anxieties drive today's technophilia, and artists, designers, and makers turn such anxieties into a variety of dynamic engagements. 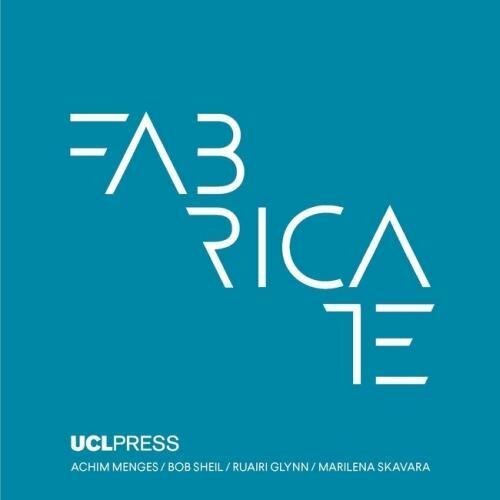 The contributors' reflections on new technologies and materials, lost and found worlds of handwork, and the politics of work all throw light on craft as process, product, and ideology. Craft will serve as a vital resource for understanding technologies, materials, techniques, and tools through the lens of craft in contemporary art. 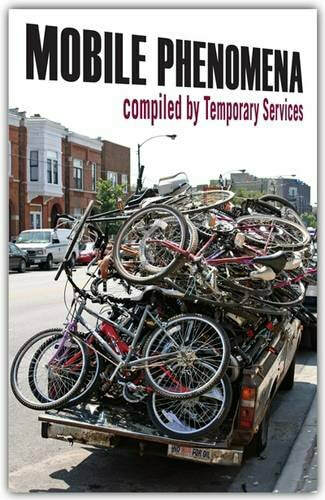 In this book you will find a selection of photos of Mobile Phenomena that includes bookmobiles, mobile forms of commerce, inventive mobile art projects, mobile structures create for use during protest, and some strange applications of mobility that defy easy description, categorization, or whose function could not be readily discerned. Mobile Phenomena can unhinge the expected roles we take in shared city spaces. Mobile structures can become a new norm when they work. It is our hope that this book can be an inspiration to other citizens, artists, activists, nomads, and anyone who is interested in escaping the constraints of their location, culture, or other factors that make realizing one's desires difficult. Deployable structures are structures that can undergo major changes to their configuration through expansion, unfolding, and other means. In architecture, they can be used to create more flexible spaces or building elements that can adapt to changing functions or requirements. 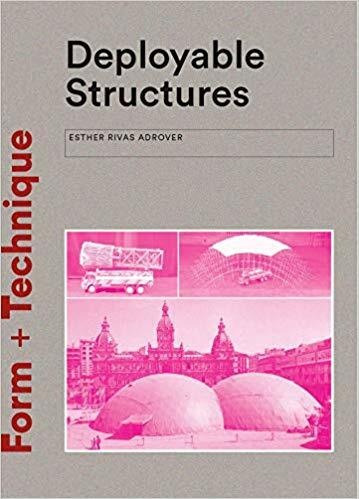 This book looks at the cutting edge of the subject, examining the different types of deployable structure, their materials and their properties. It also examines a variety of ways that such structures can be designed, drawing on natural processes and paper folding techniques. Filled with photographs, models, drawings and diagrams, the book is packed with inspirational ideas for architecture students and practitioners. The Amsterdam-based design office of EventArchitectuur has been active in the fields of exhibition and interior design and temporary architecture for more than 20 years, with their projects and interventions present in Berlin, Paris, New York and many other locations world-wide. 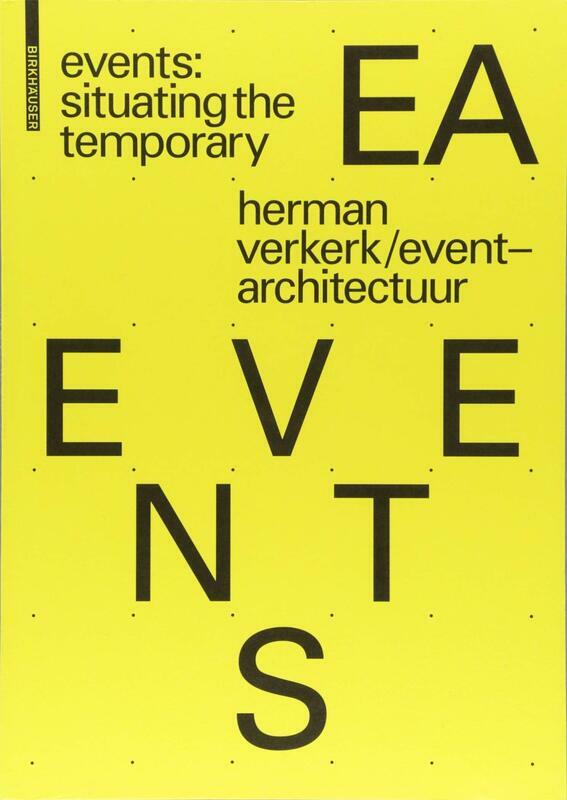 ​In this substantial book, designed by the Dutch design studio Experimental Jetset, Herman Verkerk and his team dedicate their knowledge and experience to the design community. 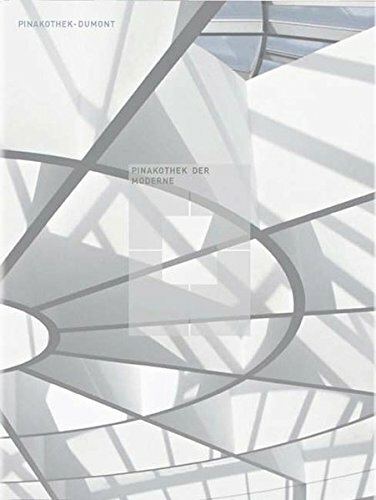 With contributions by Bernard Tschumi, Beatriz Colomina, Dirk van den Heuvel, Ellen Blumenstein and many others, topics comprise time-based narrative architecture, the architecture of events, display in public context, building-related landscape and many others. This approach makes the book a content-driven tool of communication and knowledge. ​Talking to Power / Hablándole al Poder surveys Bruguera’s artworks for the public sphere created between 1985 and 2017, all of which position art as a resource for social change. 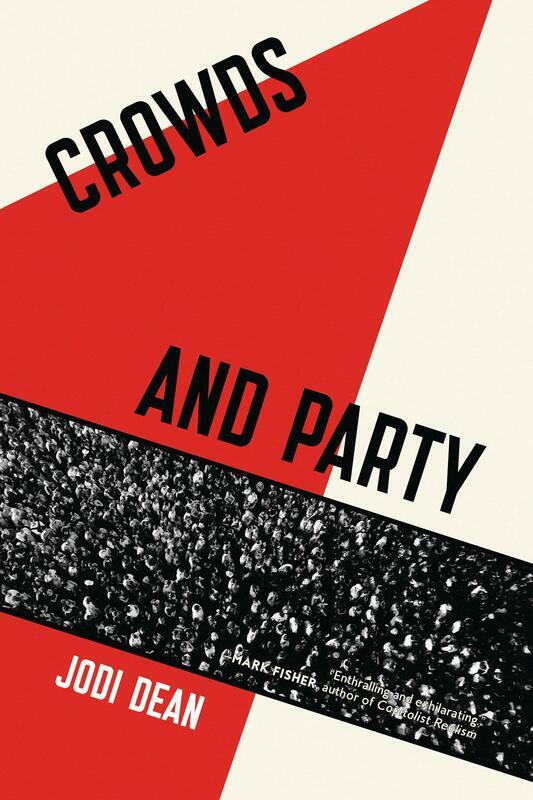 This collection of works offers the reader a deep understanding of the artist’s strategies for intervening in power. Richly illustrated and including rarely seen documentation of Bruguera’s actions, this volume features texts by José Luis Falconi, Grant Kester, Suzanne Lacy, Cuauhtémoc Medina and Peggy Phelan. 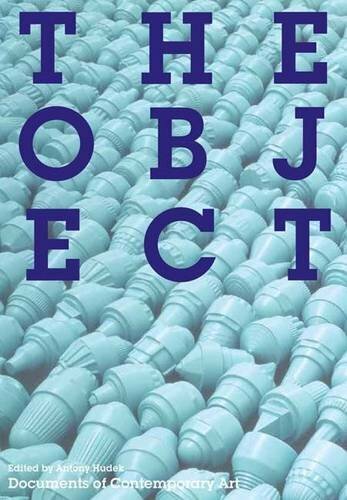 Discussions of the object as a key to understanding central aspects of modern and contemporary art.Artists increasingly refer to “post-object-based” work while theorists engage with material artifacts in culture. A focus on “object-based” learning treats objects as vectors for dialogue across disciplines. Virtual imaging enables the object to be abstracted or circumvented, while immaterial forms of labor challenge materialist theories. This anthology surveys such reappraisals of what constitutes the “objectness” of production, with art as its focus. Among the topics it examines are the relation of the object to subjectivity; distinctions between objects and things; the significance of the object's transition from inert mass to tool or artifact; and the meanings of the everyday in the found object, repetition in the replicated or multiple object, loss in the absent object, and abjection in the formless or degraded object. It also explores artistic positions that are anti-object; theories of the experimental, liminal or mental object; and the role of objects in performance. The object becomes a prism through which to reread contemporary art and better understand its recent past. Key texts on the notion of “situation” in art and theory that consider site, place, and context, temporary interventions, remedial actions, place-making, and public space.Situation―a unique set of conditions produced in both space and time and ranging across material, social, political, and economic relations―has become a key concept in twenty-first-century art. Rooted in artistic practices of the 1960s and 1970s, the idea of situation has evolved and transcended these in the current context of globalization. 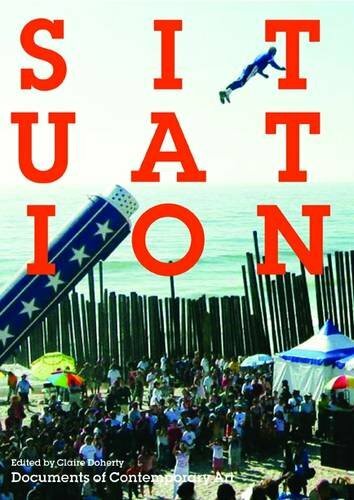 This anthology offers key writings on areas of art practice and theory related to situation, including notions of the site specific, the artist as ethnographer or fieldworker, the relation between action and public space, the meaning of place and locality, and the crucial role of the curator in recent situation specific art. ​In North America and Europe, the site-specific is often viewed in terms of resistance to art's commoditization, while elsewhere situation-specific practices have defied institutions of authority. The contributors discuss these recent tendencies in the context of proliferating international biennial exhibitions, curatorial place-bound projects, and strategies by which artists increasingly unsettle the definition and legitimation of situation-based art. 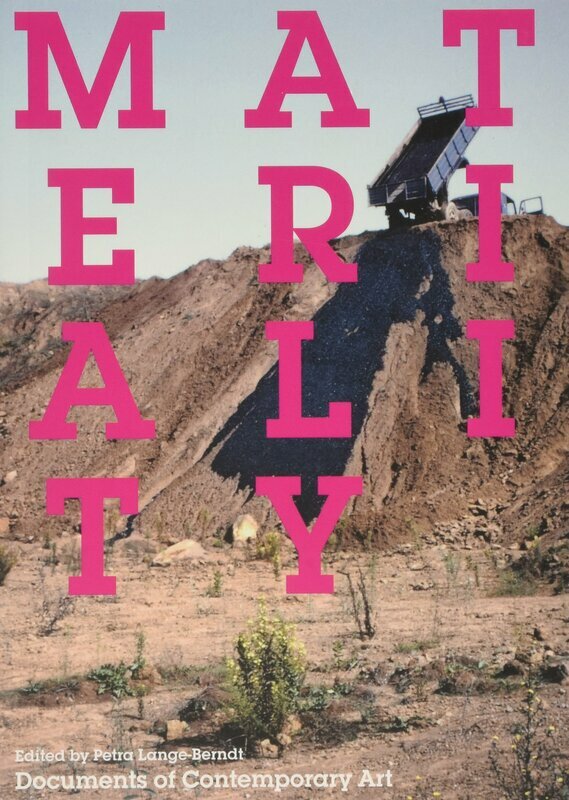 Essays consider recent artistic and critical approaches to materiality, focusing on the moments when materials become willful actors and agents within artistic processes.Materiality has reappeared as a highly contested topic in recent art. Modernist criticism tended to privilege form over matter―considering material as the essentialized basis of medium specificity―and technically based approaches in art history reinforced connoisseurship through the science of artistic materials. But in order to engage critically with the meaning, for example, of hair in David Hammons's installations, milk in the work of Dieter Roth, or latex in the sculptures of Eva Hesse, we need a very different set of methodological tools. Where does our current obsession for interactivity stem from? After the consumer society and the communication era, does art still contribute to the emergence of a rational society? 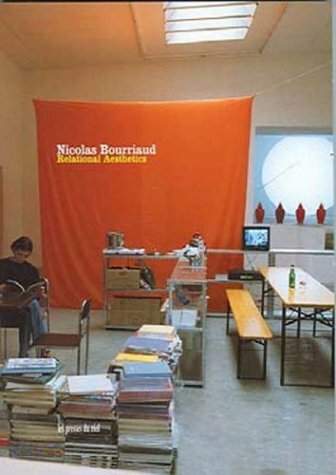 Nicolas Bourriaud attempts to renew our approach toward contemporary art by getting as close as possible to the artists' works, and by revealing the principles that structure their thoughts: an aesthetic of the inter-human, of the encounter; of proximity, of resisting social formatting. The aim of his essay is to produce the tools to enable us to understand the evolution of today's art. We meet Felix Gonzalez-Torres and Louis Althusser, Rirkrit Tiravanija or Félix Guattari, along with most of today's practising creative artists. Many designers use folding techniques in their work to make three-dimensional forms from two-dimensional sheets of fabric, cardboard, plastic, metal, and many other materials. 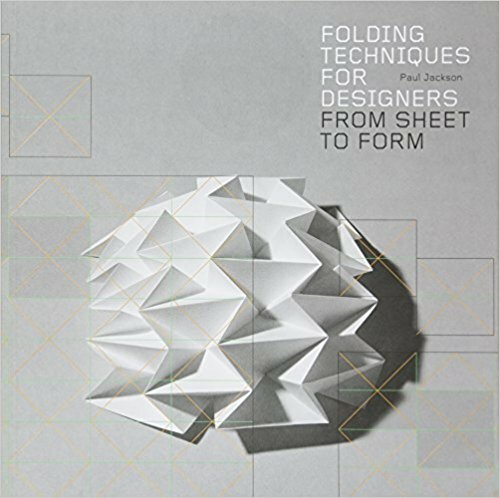 This unique book explains the key techniques of folding, such as pleated surfaces, curved folding and crumpling. An elegant, practical handbook, it covers over 70 techniques explained by clear step-by-step drawings, crease-pattern drawings, and specially commissioned photography. 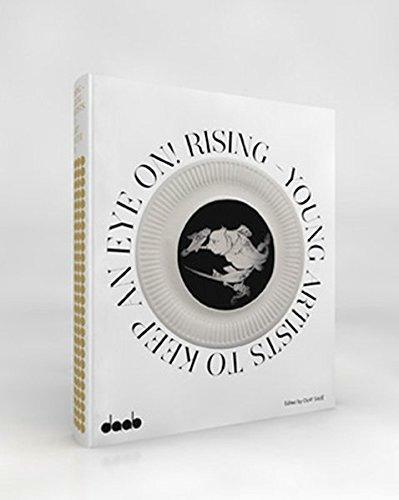 A monumental, lavishly illustrated book that offers the first global portrait of a complex and definition-defying genre of cultural production.Over the past twenty years, an abundance of art forms have emerged that use aesthetics to affect social dynamics. These works are often produced by collectives or come out of a community context; they emphasize participation, dialogue, and action, and appear in situations ranging from theater to activism to urban planning to visual art to health care. Engaged with the texture of living, these art works often blur the line between art and life. 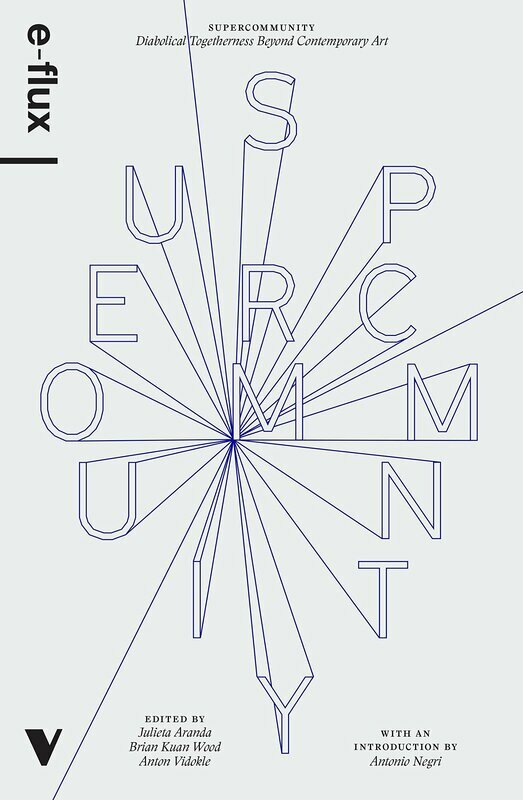 This book offers the first global portrait of a complex and exciting mode of cultural production―one that has virtually redefined contemporary art practice. Living as Form grew out of a major exhibition at Creative Time in New York City. Like the exhibition, the book is a landmark survey of more than 100 projects selected by a thirty-person curatorial advisory team; each project is documented by a selection of color images. 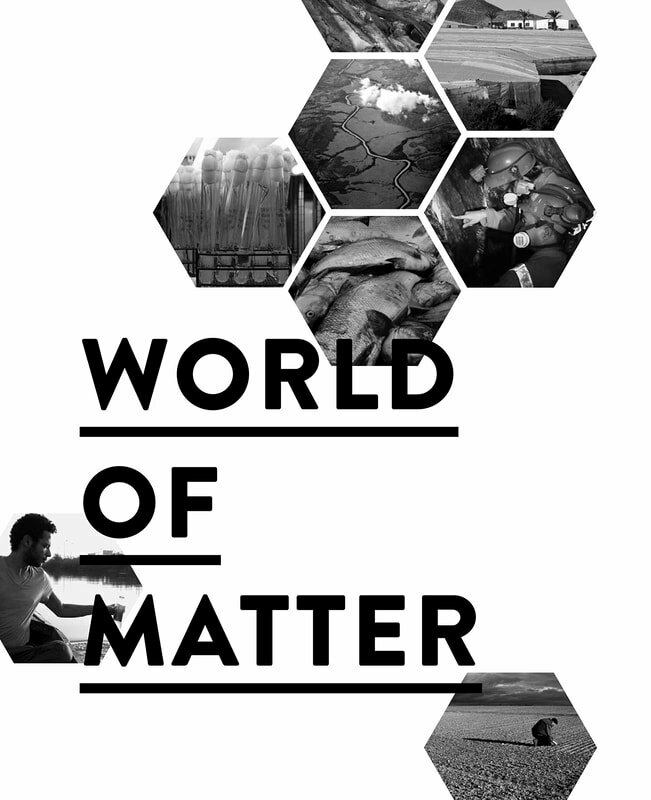 The artists include the Danish collective Superflex, who empower communities to challenge corporate interest; Turner Prize nominee Jeremy Deller, creator of socially and politically charged performance works; Women on Waves, who provide abortion services and information to women in regions where the procedure is illegal; and Santiágo Cirugeda, an architect who builds temporary structures to solve housing problems. 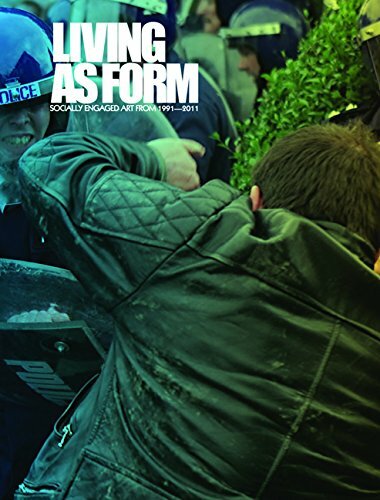 Living as Form contains commissioned essays from noted critics and theorists who look at this phenomenon from a global perspective and broaden the range of what constitutes this form. 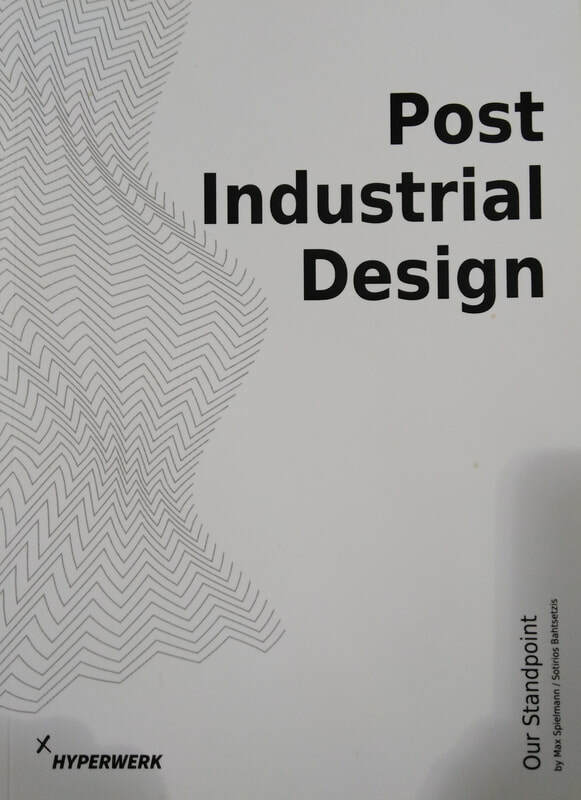 This entirely new essay collection brings together pioneers in design within architecture, construction, engineering, manufacturing, materials technology and computation to explore the progressive integration of digital design with manufacturing processes, and its impact on design and making in the 21st century. Discussion on key themes include: how digital fabrication technologies are enabling new creative and construction opportunities from component to building scales, the difficult gap that exists between digital modelling and its realization, material performance and manipulation, off-site and on-site construction, interdisciplinary education, economic and sustainable contexts. Oscar Tuazon's work comprises large scale installations and sculptures, usually combines natural and industrial materials. Tinted by do-it-yourself etho, minimalist aesthetic, and vernacular architecture, his art maintains a precarious quality that questions the limits of objects and architecture, to redefine the physical experience of a building or a space. 'Live', volume 1, concentrates on a major exhibition of new sculptural works at Museum Ludwig called 'Alone in an empty room'. A full-scale reproduction of fragments of the artist's house in Los Angeles grafted onto the architecture of the Ludwig museum, the exhibition collapses two spaces together, producing a strange third space. 'Live', volume 2, comprises a photographic monograph of selected works covering the artist's unconventional production over the past five years. Combining documentation of significant individual works, exhibitions, and large-scale installations with the artist's own production documentation of works in the studio, the book is a unique look at works in progress. How do we explain the breakthrough market success of businesses like Nike, Starbucks, Ben & Jerry's, and Jack Daniel's? Conventional models of strategy and innovation simply don't work. The most influential ideas on innovation are shaped by the worldview of engineers and economists - build a better mousetrap and the world will take notice. Holt and Cameron challenge this conventional wisdom and take an entirely different approach: champion a better ideology and the world will take notice as well. Holt and Cameron build a powerful new theory of cultural innovation. Brands in mature categories get locked into a form of cultural mimicry, what the authors call a cultural orthodoxy. Historical changes in society create demand for new culture - ideological opportunities that upend this orthodoxy. Cultural innovations repurpose cultural content lurking in subcultures to respond to this emerging demand, leapfrogging entrenched incumbents. 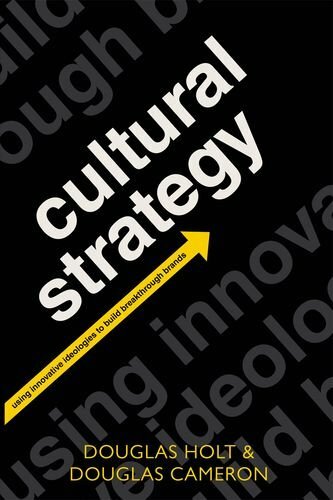 Written by leading authorities on branding in the world today, along with one of the advertising industry's leading visionaries, Cultural Strategy transforms what has always been treated as the "intuitive" side of market innovation into a systematic strategic discipline. 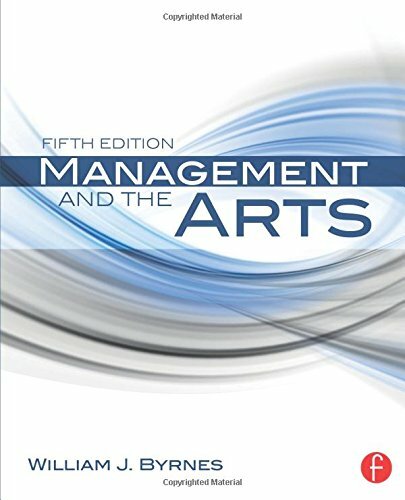 The fifth edition of Management and the Arts provides you with theory and practical applications from all arts management perspectives including planning, marketing, finance, economics, organization, staffing, and group dynamics. Regardless of whether you are a manager in a theatre, museum, dance company, or opera, you will gain useful insights into strategic planning, organization, and integrated management theories. Case studies, statistics, and real-world examples will allow you get a handle on all aspects of arts managements, from budgeting and fundraising, to e-marketing and social networking, to working effectively with boards and staff members. Revised to reflect the latest thinking and trends in managing organizations and people, this fifth edition features class-tested questions in each chapter, which help you to integrate the material and develop ideas about how the situations and problems could have been handled. Case studies focus on the challenges facing managers and organizations every day, and "In the News" quotes give you real-world examples of principles and theories. 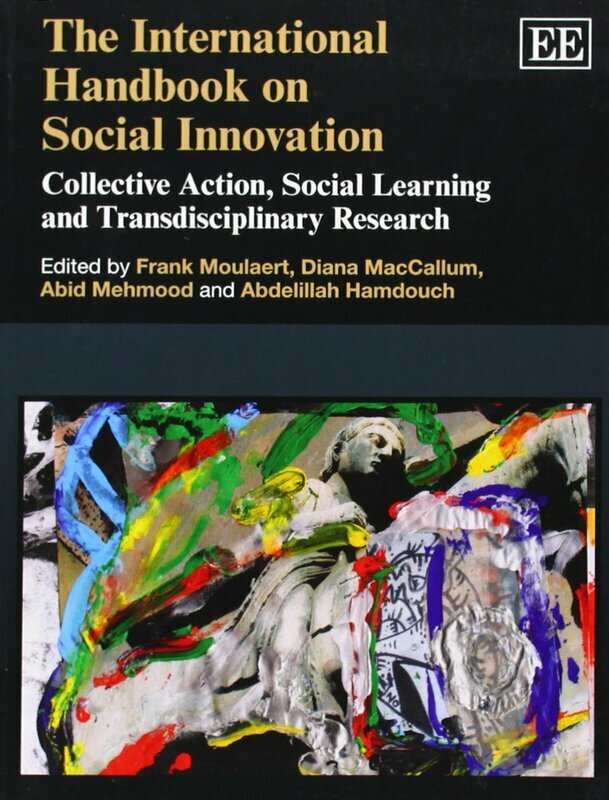 This enriching Handbook covers many aspects of the scientific and socio-political debates on social innovation today.The contributors provide an overview of theoretical perspectives, methodologies and instructive experiences from all continents, as well as implications for collective action and policy. They argue strongly for social innovation as a key to human development. The Handbook defines social innovation as innovation in social relations within both micro and macro spheres, with the purpose of satisfying unmet or new human needs across different layers of society. It connects social innovation to empowerment dynamics, thus giving a political character to social movements and bottom-up governance initiatives. Together these should lay the foundations for a fairer, more democratic society for all.This interdisciplinary work, written by scholars collaborating to develop a joint methodological perspective toward social innovation agency and processes, will be invaluable for students and researchers in social science and humanities. It will also appeal to policy makers, policy analysts, lobbyists and activists seeking to give inspiration and leadership from a social innovation perspective. A framework for overcoming the six types of innovation killersEverybody wants innovation—or do they? 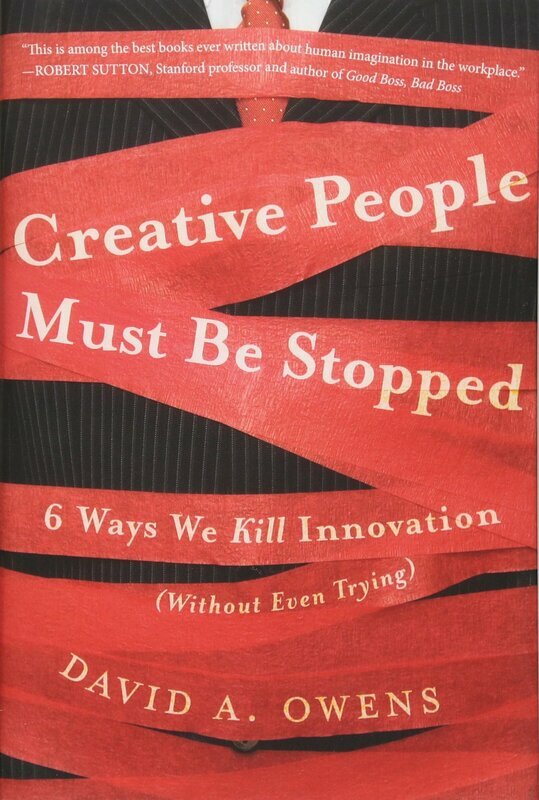 Creative People Must Be Stopped shows how individuals and organizations sabotage their own best intentions to encourage "outside the box" thinking. It shows that the antidote to this self-defeating behavior is to identify which of the six major types of constraints are hindering innovation: individual, group, organizational, industry-wide, societal, or technological. Once innovators and other leaders understand exactly which constraints are working against them and how to overcome them, they can create conditions that foster innovation instead of stopping it in its tracks. The author's model of constraints on innovation integrates insights from the vast literature on innovation with his own observations of hundreds of organizations. The book is filled with assessments, tools, and real-world examples. 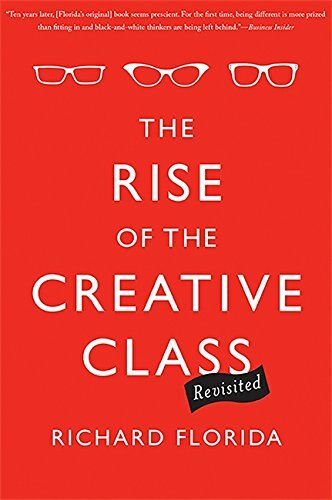 In his modern classic The Rise of the Creative Class, urbanist Richard Florida identifies the emergence of a new social class that is reshaping the twenty-first century's economy, geography, and workplace. This Creative Class is made up of people--engineers and managers, academics and musicians, researchers, designers, entrepreneurs and lawyers, poets and programmers--whose work turns on the creation of new forms. Increasingly, Florida observes, this Creative Class determines how workplaces are organized, what companies prosper or go bankrupt, and which cities thrive. In this updated edition, Florida further refines his occupational, demographic, psychological, and economic profile of the Creative Class. Incorporating additional research and new chapters covering the global impact of the Creative Class and exploring the factors that shape "quality of place" in our changing cities and suburbs, The Rise of the Creative Class--Revisited is the definitive edition of this foundational book on our contemporary economy. Praise for The Power of Social Innovation"Goldsmith guided us in Florida on our successful faith-based initiatives. His bold approaches continue to inspire public officials and community groups alike with keys to activating citizens and expanding opportunity for all." ​"When it comes to doing good, Stephen Goldsmith is as disruptive an innovator as we've seen. 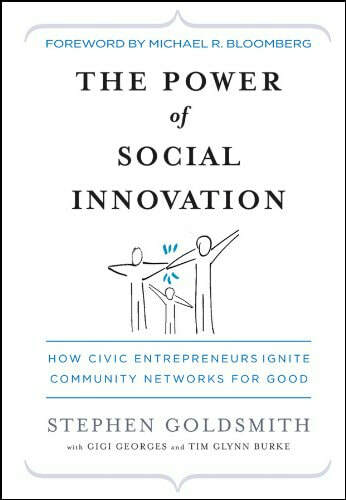 Read and study The Power of Social Innovation if you don't just want to do good, but want to make the greatest impact possible." Το βιβλίο "Ζητήματα πολιτιστικής διαχείρισης" του ακαδημαϊκού Γ.Π. Λάββα αποτελεί ένα από τα οράματά του που δεν πρόλαβε ο ίδιος να ολοκληρώσει. Αποσκοπεί με τρόπο εύληπτο και επιστημονικά τεκμηριωμένο να παραδώσει στους νεότερους τα διδάγματα των δύο νέων επιστημονικών κλάδων, της Διαχείρισης των Μνημείων και της Πολιτιστικής Κληρονομιάς. Η διάρθρωση των κεφαλαίων ακολουθεί σε γενικές γραμμές τους βασικούς άξονες των μαθημάτων του, από την αποσαφήνιση όρων, εννοιολογικών και ιδεολογικών προσδιορισμών, στην αναλυτική επισκόπηση επιμέρους θεμάτων και περιπτωσιολογικών μελετών. Αναλυτικότερα, τα κεφάλαια περιέχουν: λέξεις κλειδιά, ανάπτυξη υποκεφαλαίων από δημοσιευμένα ή αδημοσίευτα κείμενα του Γ.Π. Λάββα, μελέτες περίπτωσης, προτάσεις από τους επιμελητές της έκδοσης για περαιτέρω μελέτη και έρευνα από τον αναγνώστη και εργογραφία του Γ.Π. Λάββα. Η αποβιομηχάνιση των περιοχών στη σύγχρονη μετά-πολη, η εξέλιξη ιστορικών κέντρων σε πολιτιστικά αξιοθέατα και η εμφάνιση νέων τουριστικών αξιοθέατων (θεματικά πάρκα) και μουσείων (μνημείων/τοπόσημων) για την πόλη δημιουργούν προοπτικές, αλλά και προκλήσεις, τις οποίες η επιστήμη της Διαχείρισης της Κληρονομιάς καλείται να αντιμετωπίσει με τεκμηριωμένο τρόπο θεώρησης και δράσης. Τρεις χιλιάδες χρόνια ιστορίας της δραματουργίας, άλλοτε άμμεσα και άλλοτε έμμεσα? Ανεξάντλητες οι μορφές των χώρων που τη στέγασαν ή εξακολουθούν να τη στεγάζουν? Απειρες οι αντιδράσεις του κοινού απέναντι στα δρώμενα, την κάθε φορά, μέσα σε διαφορετικά αρχιτεκτονικά κελύφη? Ωστόσο, η ανά χείρας μελέτη αποπειράται να διακρίνει κάτι σαν απλό μοτίβο πίσω από τη χαοτική ποικιλία και να χαρτογραφήσει ένα σύστημα διαδοχής. Συνοψίζοντας δραματουργικούς στόχους, σχηματοποιώντας αρχιτεκτονικές διατάξεις κι αποτιμώντας συνολικές αντιδράσεις "υποδοχής", κατανέμει το πολυσχιδές υλικό της σε οκτώ, όλο, όλο φάσεις. Οκτώ φάσεις, με τις τέσσερις τελευταίες να επαναλαμβάνουν τις τέσσερις πρώτες: από το αλώνι στο ημικύκλιο, από εκεί στο μετωπικό αντίκρυσμα κι από εκεί σε μια πολυμορφία διατάξεων, στη διάρκεια των οποίων επανεμφανίζεται το αλώνι για να ακολουθήσουν, ξανά, οι ίδιες αλλαγές. Την πρώτη φορά, από την αρχαιότητα ως τους πρώτους χριστιανικούς αιώνες και τον Μεσαίωνα: τη δεύτερη φορά, από τους πρώτους χριστιανικούς αιώνες μέχρι τις μέρες μας. Κατά τον πρώτο "κύκλο" των τεσσάρων φάσεων δοκιμάζονται οι συνθήκες των ενθεουμένων ανθρώπων: κατά το δεύτερο, οι συνθήκες του εκκοινωνιζόμενου ατόμου. Με οδηγό τις μεταμορφώσεις του θεατρικού χώρου, λοιπόν, αυτή η μελέτη προτείνει μιαν ευρύτερη θεατρολογική ταξινόμηση. Ισως ιερόσυλα απλουστευτική. Αλλά έτσι ή αλλιώς το θέατρο ήταν πάντα, και παραμένει, μια τέχνη στο μεταίχμιο του ιερού και του ανίερου. Rising: Young Artists to Keep an Eye on! Es kann nicht viele Begriffe geben, die in den letzten Jahren so durch die Decke gehypt wurden, die so sehr zu Symbol und Synonym für Authentizität, Urbanismus und Rebellion verklärt wurden. 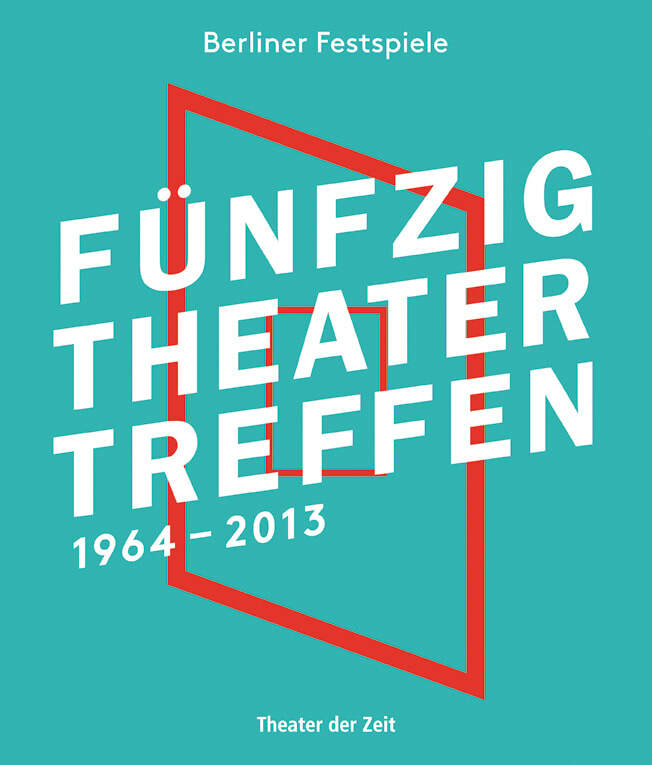 Im Mai 2013 findet das Theatertreffen Berlin zum 50. Mal statt. 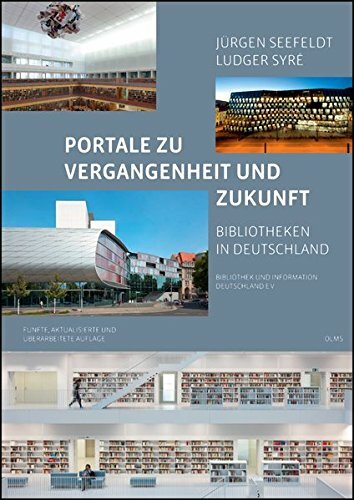 Kein anderes Forum hat so kontinuierlich einen Überblick der künstlerischen Entwicklungen an deutschsprachigen Bühnen geboten und sich zugleich so erfolgreich als Festival beim Publikum etabliert, obwohl die Auswahl der eingeladenen Inszenierungen selten unumstritten war. Quer zu allen politischen Veränderungen hat das Theatertreffen überlebt. Es hat mit neuen Konzepten, Programmen und Veran- staltungsreihen der Erweiterung des Theaterbegriffs und der Internationalisierung der Theaterkunst Rechnung getragen und dabei an der Kernidee festgehalten, die bemerkenswertesten Aufführungen eines Jahrgangs - ausgewählt von einer Kritikerjury - zu Gastspielen einzuladen. In der Rückschau auf ein halbes Jahrhundert ist in ihnen nichts weniger als die Veränderung des Theaters in seinem Verhältnis zur Gesellschaft lesbar geworden. Neben Essays von Theatermachern, Kritikern und Dramaturgen sowie Bildstrecken, die von Bühnenbildnern kuratiert werden, versammelt der von den Berliner Festspielen herausgegebene Band Originalbeiträge namhafter Theaterautoren und fünfzig Zwischenrufe von Beobachtern und Persönlichkeiten, die das Theatertreffen geprägt haben. Dokumente, Reden und Aufsätze, die für das Theatertreffen wichtig waren, vervollständigen den Überblick. Im Zusammenspiel entsteht weit mehr als eine Chronik der letzten fünfzig Jahre: ein anspielungsreiches Lesebuch für die Zukunft. Wie wollen wir in Zukunft leben? Mit welchen gestalterischen Strategien und technischen Konzepten können wir die sozialen und ökologischen Herausforderungen der Gegenwart bewältigen? Für eine bessere Zukunft gibt es keine einfache Anleitung, keine eindeutige Lösung. UPDATING GERMANY zeigt deshalb 100 Projekte aus Architektur, Kunst und Design, die Lust auf mehr machen: Architekturentwürfe, Forschungsprojekte und Gedankenmodelle, die derzeit in Deutschland entwickelt oder realisiert werden. Die in UPDATING GERMANY zusammengestellten Konzepte eröffnen neue Perspektiven zwischen Hightech und Lowtech, zwischen postfossiler Landschaft und innovativer Gebäudetechnik, zwischen ökologischem Lifestyle und gesellschaftlicher Utopie. 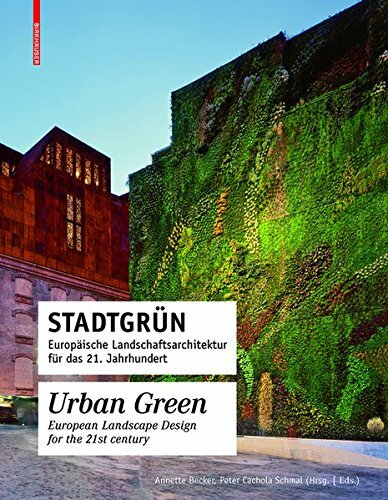 Eine Ideensammlung für alle, die sich für die Gestaltung von Architektur, Stadt und eine nachhaltige Zukunft verantwortlich fühlen. 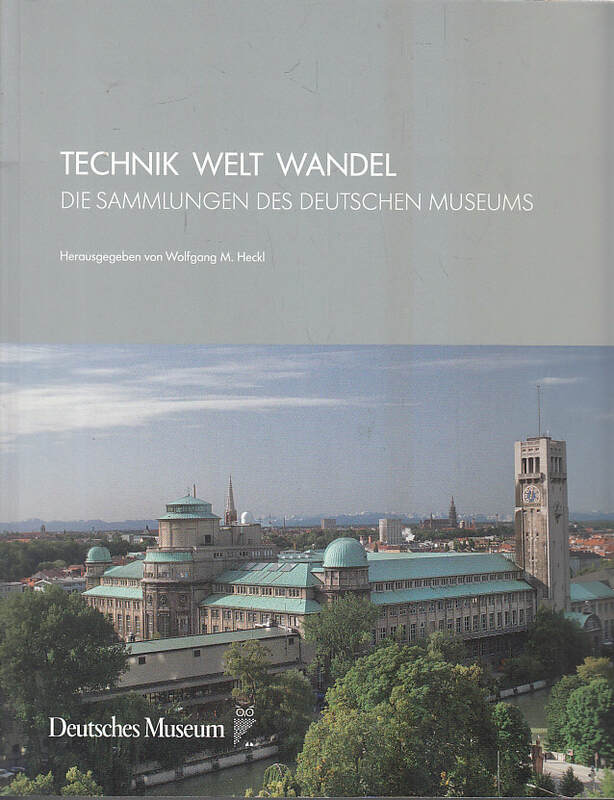 "Technology in a Changing World: The Collections of the Deutsches Museum" contains over 400 pages, well-illustrated with over 800 photographs and other illustrations, forming a series of excursions into the many realms of knowledge at the Deutsches Museum. 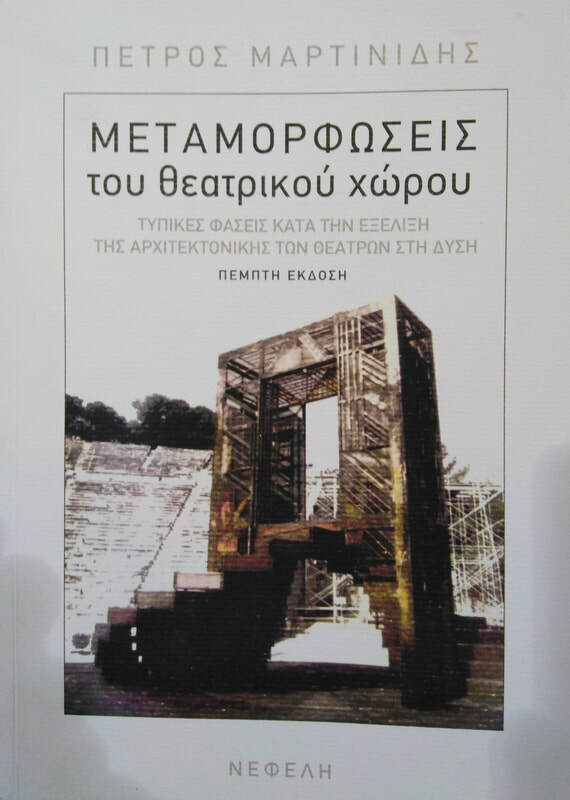 Accompanying the reader through the various sections of the museum, its branch museums, archives, storage depots, and other facilities are texts by 35 authors, all specialists in their fields. The book is arranged according to the museum's layout, from the basement to the sixth floor, with a chapter for each of the 50 specialist fields, including astronomy, aviation, chronometry, mining, shipping, and numerous others. Each chapter opens with a short introduction to help the reader understand the subject matter and its history, followed by a richly illustrated tour of each exhibition. 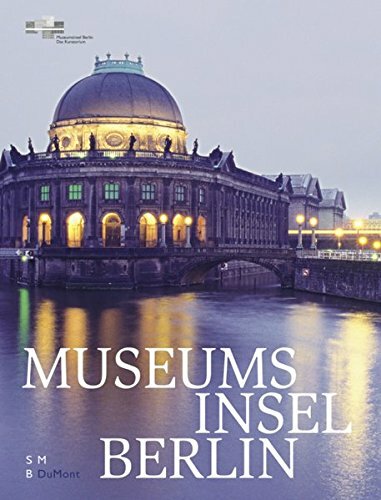 In addition to providing a closer look at the three branch museums, Deutsches Museum Verkehrszentrum, Deutsches Museum Flugwerft Schleissheim, and Deutsches Museum Bonn; the bok also introduces readers to the museum's research institute, library, and educational programs. Readers will especially enjoy the behind-the-scenes look at the museum's workshops and storage depots. 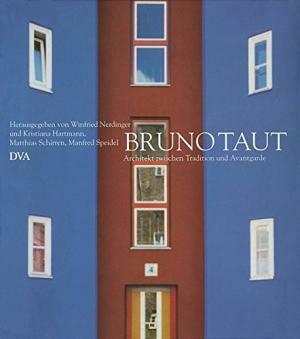 Bruno Taut 1880 - 1938. Architekt zwischen Tradition und Avantgarde. 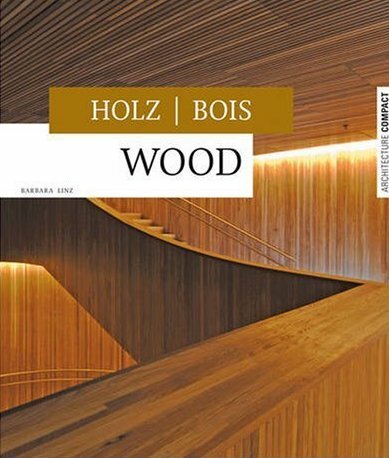 This book showcases the most beautiful and interesting instances of the use of wood in international architecture and interior design in the 21st century. The 40 projects presented in this volume exemplify the specific character of the material, constructions details, new technology as well as the diversity of the theme. 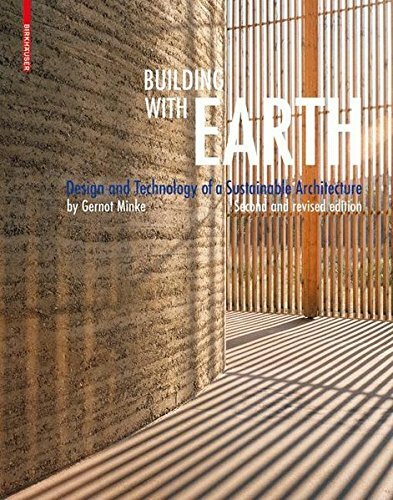 Diese Buch zeigt die schonsten und interessantesten Beispiele der Verwendung von Holz in der internationalen Architektur und Innenarchitektur des 21. Jahrhunderts. Die spezifische Materialsprache, Fragen der Konstruktion, neue Techniken sowie die Vielfalt des Themas werden in diesen Band anhand von 40 Objekten prasentiert. Cet ouvrage presente les meilleurs exemples d`utilisation du bois dans l`architecture et l`architecture d`interieur internationales au XXI siecle. Le langage specifique de ce materiau, les questions relatives a la construction, les nouvelles techniques et de nombreux autres apects y sont explores a travers 40 projets. Building with straw bales is a technique pioneered a century ago in the state of Nebraska. In recent years there has been a renaissance in the use of straw as a building material largely in the American Southwest, but also in Canada, Australia, France, Holland, Germany, Austria and China. Straw is a renewable resource with excellent insulating properties. It is a cheap and easy-to-use option for self-builders, and even large-scale structures can be erected using timber framework filled with straw. 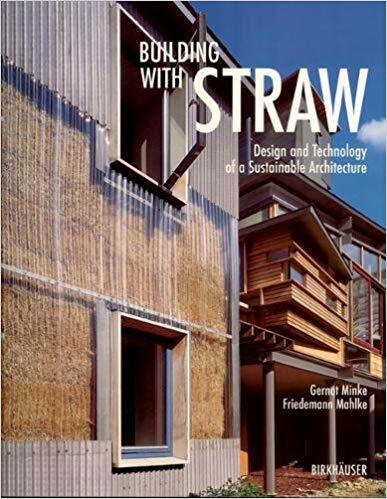 This book is a practical, hands-on guide to building with straw. Fire safety, protection against moisture, damp, pests and parasites are treated in detail. Numerous on-site photos document the process of assembly and construction step by step. 30 exemplary international projects illustrate the wide spectrum of design possibilities with straw. For a number of years, the healthy and environment-friendly building material earth, in common use for thousands of years, has been enjoying increasing popularity, including in industrialized nations. In hot dry and temperate climate zones, earth offers numerous advantages over other materials. Its particular texture and composition also holds great aesthetic appeal. The second and revised edition of this handbook offers a practical systematic overview of the many uses of earth and techniques for processing it. Its properties and physical characteristics are described in informed and knowledgeable detail. The author’s presentation reflects the rich and varied experiences gained over thirty years of building earth structures all over the world. Numerous photographs of construction sites and drawings show the concrete execution of earth architecture. Der ressourcenschonende und gesunde Baustoff Lehm, seit Jahrtausenden gebräuchlich, erfreut sich seit vielen Jahren auch in den Industrienationen wachsender Beliebtheit. In gemäßigten und trocken-heißen Klimazonen bietet der Lehm zahlreiche Vorteile gegenüber anderen Materialien. Seine spezifische Beschaffenheit und Textur ist außerdem von hohem ästhetischem Reiz. Die neue und erweiterte 2. Auflage dieses Handbuchs bietet einen praxisorientierten systematischen Überblick über die zahlreichen Einsatzmöglichkeiten und Verarbeitungstechniken von Lehm; seine Eigenschaften und physikalischen Gegebenheiten werden detailliert und kenntnisreich erläutert. Die reichhaltigen Erfahrungen, die der Autor bei der Ausführung von Lehmbauten im In- und Ausland über 30 Jahre gewinnen konnte, spiegeln sich in seiner Darstellung wieder. Zahlreiche Baustellenfotos und Zeichnungen zeigen die konkrete Umsetzung von Lehm-Architektur. ​Ein Haus für mehrere Nutzer; welche Vorteile und Möglichkeiten hat das? Das “Mehrge-nerationenhaus” liegt voll im Trend. Es werden nicht nur die Grundstücks- und Baukosten aufgeteilt, es wird auch dafür gesorgt, dass man wieder füreinander da ist, ohne sich dabei auf der “Pelle zu sitzen”. Denn ein Mehrgenerationenhaus bedeutet nicht, ein Zimmer für die “Alten” herzurichten. Nein, es werden getrennte Wohneinheiten, z.T. sogar Doppelhaushälften, gebaut, die jede Generation eigenständig bewohnt. 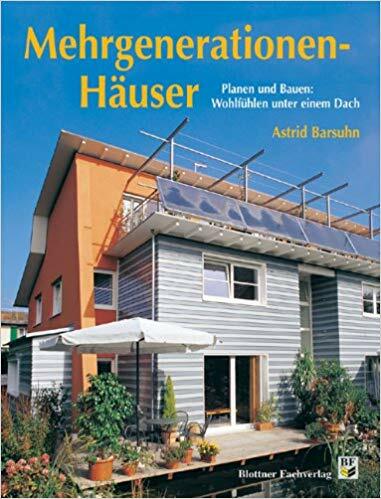 Dieses Buch zeigt gelungene Lösungen für das unabhängige Wohnen mehrerer Generationen unter einem Dach. Peter Latz und Partner sind Spezialisten fur einen zeitgemaen, intelligenten Umgang mit alternativen Technologien und die Regenerierung von Industriebrachen. Markenzeichen der Arbeiten des 1968 gegrundeten Buros ist seine Fahigkeit, okologisch-soziale Anspruche in einer starken asthetischen Sprache auszudrucken. 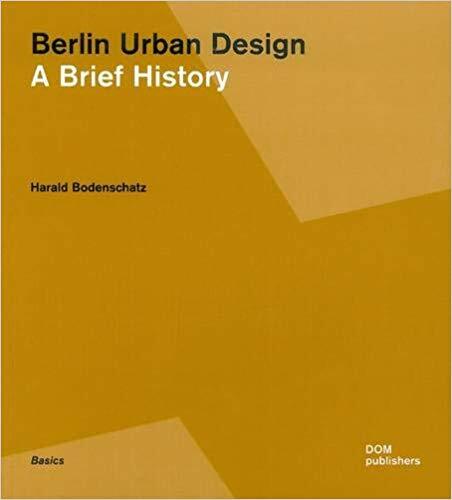 This book presents a history of Berlin’s urban design from a European perspective. It is aimed at professionals and students interested in urban design, urban planning and urban design history, but is also a good primer for any visitor to the city. 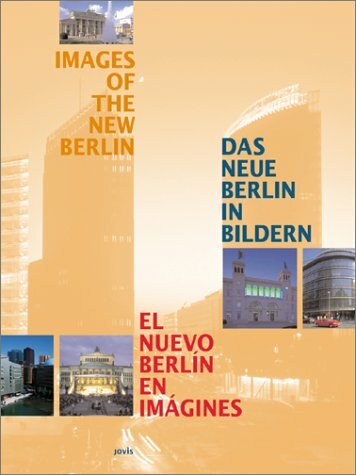 Numerous plans, drawings and photos, including exceptional aerial photography, illustrate Berlin’s key urban developments, which have shaped one of Europe’s most attractive, liveable and yet contested cities. ﻿Berlin has become a model for European urban design. 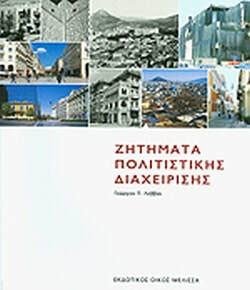 The reasons lie in the nature of its compact pre-First World War urban districts; in the development of suburban housing estates during the 1920s; in the refurbishment and careful renewal from the 1970s onwards of its compact 19th century districts; and in the critical reconstruction of its urban form since the 1980s. But Berlin was not always seen as a model. The unflattering title of “the world’s largest tenement city” – a rather undeserved epithet – served for decades as a bogeyman, as did the large scale social housing estates in both East and West that have been much criticised since the 1970s. Despite this, the city has largely avoided the suburban sprawl that plagues cities worldwide. Harald Bodenschatz, born in Munich in 1946, a sociologist and urban planner, is a full Professor of Sociology of Architecture and Urban Planning at the Technical University of Berlin. 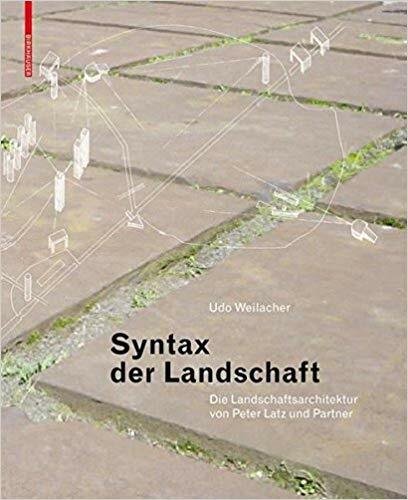 He has published numerous books dealing with urban redevelopment, suburban development, history of town planning and urban design in Berlin and elsewhere. 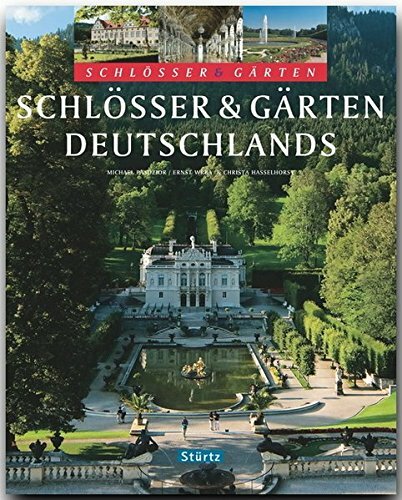 Deutschlands prächtige Schlösser und ihre pittoresken Gärten und reizvollen Parks bilden beeindruckende Ensembles und gehören zu den kulturellen Höhepunkten einer Reise durch Deutschland. 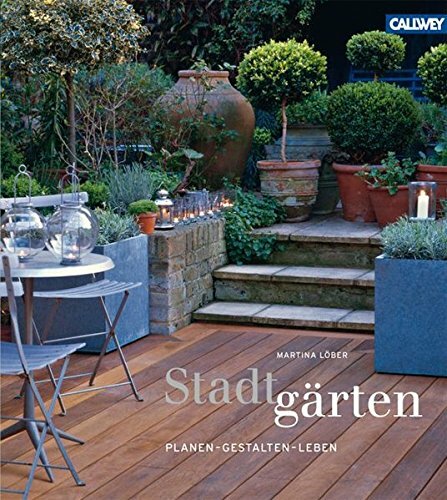 Das Spiel von Architektur und Natur begeistert Gartenfreunde und Kulturinteres. Pinakothek der Moderne. 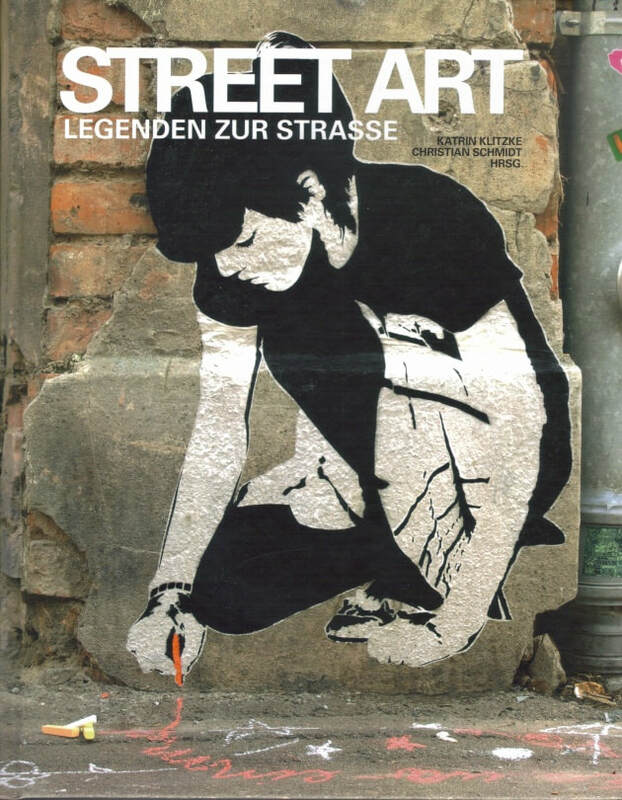 Kunst, Grafik, Architektur und Design. 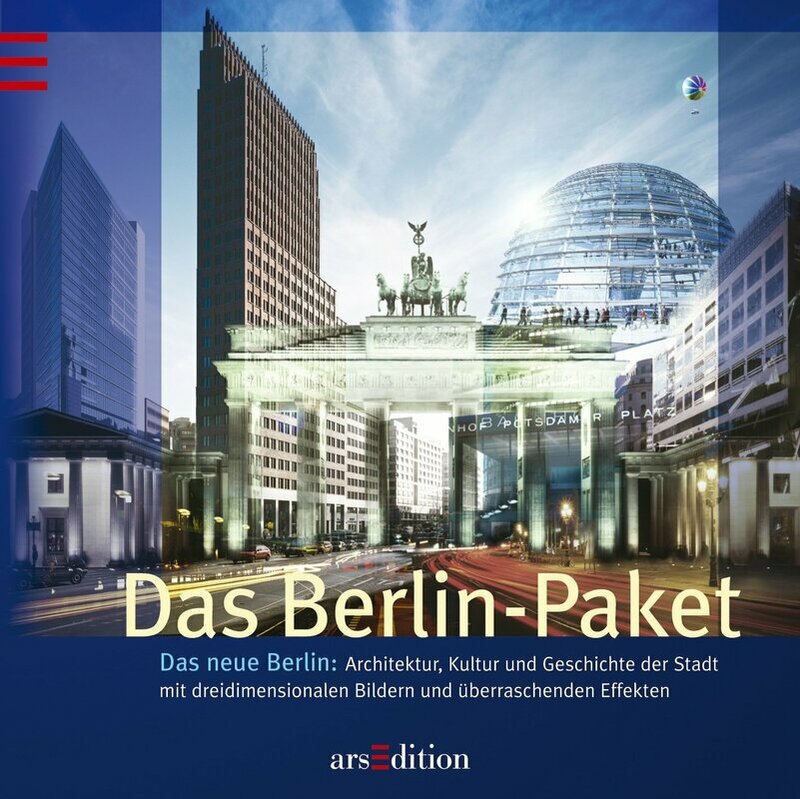 Das Berlin-Paket präsentiert auf sieben Doppelseiten die prominentesten Bauten und Sehenswürdigkeiten, zum Beispiel: den Pariser Platz rund um das Brandenburger Tor - das neue Herz der Stadt, den Potsdamer Platz - die Friedrichstraße, einst legendäre Flanier- und Amüsiermeile - den umgebauten Reichstag mit seiner gläsernen Kuppel. Berlin ist wesentlich mehr als seine Bauten. 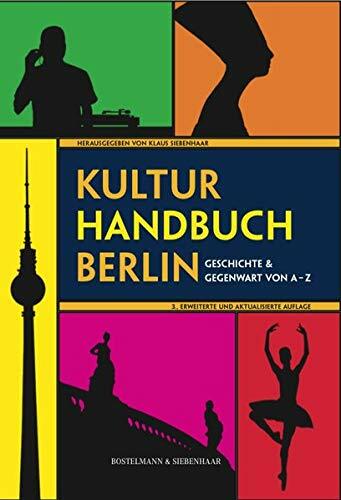 Das Berlin-Paket informiert über: Meilensteine der Stadtgeschichte - das große Kulturangebot in der Hauptstadt - prominente Persönlichkeiten - Plätze, die Legende wurden und an denen heute der Bär steppt. Die Architektur erscheint ganz authentisch, das heißt dreidimensional. Detailgetreue Nachbildungen einzelner Gebäude entfalten sich mit überraschender Mechanik. Nach den Zerstörungen des Zweiten Weltkriegs musste Berlin – vor allem seine Stadtmitte – für eine neue Zukunft angeeignet und gestaltet werden. Und das unter den erschwerten Bedingungen in einer von den Siegermächten besetzten und geteilten Stadt in einem in vier Besatzungszonen geteilten Deutschland. Die alte Stadtmitte war 1945 dem sowjetischen Sektor in Ost-Berlin und ab 1949 der in der sowjetischen Besatzungszone gegründeten DDR zugefallen. Bis 1990 war Ost-Berlin Hauptstadt der DDR. 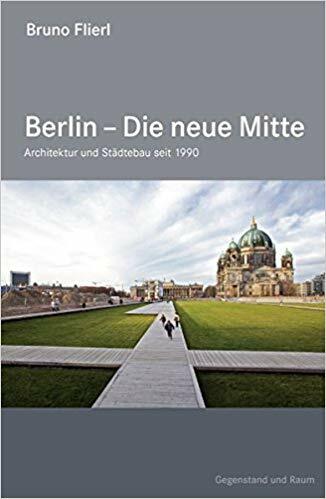 Erst durch die Wiedervereinigung der geteilten Stadt Berlin in einem vereinten deutschen Staat 1990 wurde Berlin tatsächlich Hauptstadt und Sitz von Parlament und Regierung der Bundesrepublik Deutschland. Wieder stellt sich die Frage nach der Mitte der Stadt neu. Metropole Berlin. Aus dem Inhalt: Die Köpfe der Stadt. Keine Buletten für das neue Berlin. Eilig, unverblümt und „Nüscht Besonderet". Einmal Weltstadt und zurück. „Wissen Sie, wo die Reichskanzlei war?" Ende einer Warteschleife. Auferstanden aus Ruinen Wanderer auf der Wall Street. Abschied von einem gestörten Verhältnis. Ein Sechs-Millionen-Mißverständnis. Der schrecken unter der Stadt. Berlin, menschenleer. Wie wär’s denn mit Kassel? Von Wohnen über Essen bis zu Bekleidung, Musik und Sport was ist typisch deutsch? Mit vielen unvergesslichen Bildern, anschaulichen Grafiken und interessanten Details. Für alle, die very German sind oder wissen wollen, was das eigentlich bedeutet. Die meisten wissen, was in Stilfragen mit very British gemeint ist, und haben eine ungefähre Idee von diesem Chic, der den Franzosen immer nachgesagt wird. Aber was ist eigentlich deutscher Stil ? Wie sieht er aus, wer hat ihn geprägt, früher und heute? Warum kleiden sich die Deutschen, wie sie sich kleiden? Warum lieben sie praktische Dinge mit Funktion? Warum konnten das Bauhaus, Techno oder die Raufasertapete nur hier entstehen? Essays und Experten-Interviews u. a. mit der Modehistorikerin Barbara Vinken geben darüber Aufschluss. Typisch German Stil und Ikonen einer Nation nimmt uns mit auf eine Bilderreise durch die neuere deutsche Stilgeschichte. 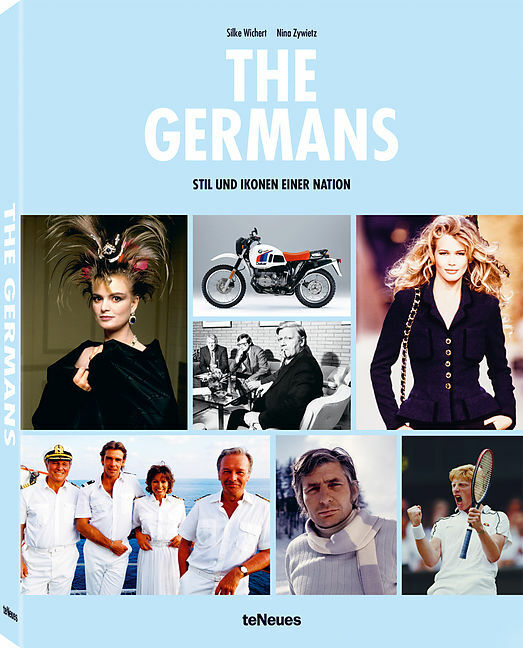 Wir treffen Personen wie Boris Becker und Steffi Graf, Hans-Dietrich Genscher und seinen gelben Pullunder, Claudia Schiffer, Marlene Dietrich, Nena und Gloria von Thurn und Taxis. Mit Kurzporträts, Rückblenden und Interviews wird an deutsche Ikonen, die für einen bestimmten Stil stehen oder standen, erinnert. Am Ende werden wir sehen, dass die Deutschen häufig viel besser sind als ihr Ruf und ihr präzises Bestreben um Natürlichkeit durchaus eine sehr eigene Ästhetik geprägt hat. - Von Wohnen über Essen bis zu Bekleidung, Musik und Sport was ist typisch deutsch? Die von Grund auf überarbeitete Neuauflage dieser zweisprachigen Publikation bietet einen ausführlichen und vollständigen Überblick über das deutsche Universitätswesen. Nach Städten alphabetisch geordnet, werden die 117 Hochschulen in Wort und Bild vorgestellt und durch die wichtigsten formalen Angaben sowie ein ausführliches Hochschulprofil ergänzt. 14 neue, wieder reich bebilderte Beiträge beleuchten spezielle Aspekte des universitären Lebens und von Forschungseinrichtungen. Ein essenzielles Orientierungs- und Dokumentationswerk für Studierende und Hochschulangehörige. 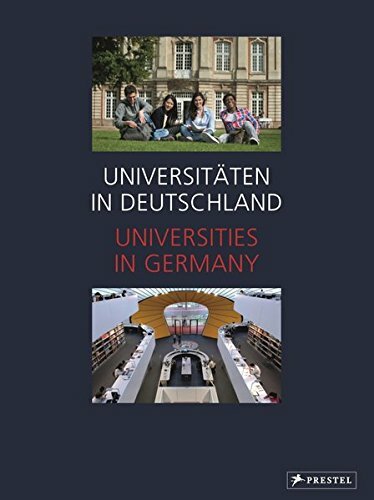 Nachschlagewerk, Lesebuch und Bildband in einem - dieses umfassende Kompendium bietet einen vollständigen Überblick über das deutsche Universitätswesen. Nach Städten alphabetisch geordnet, werden die Hochschulen in Wort und Bild vorgestellt und durch die wichtigsten formalen Angaben sowie ein ausführliches Hochschulprofil ergänzt. Insgesamt sind es 110 Einrichtungen, an denen außer einem Studium auch die Promotion möglich ist: 83 staatliche Universitäten von Aachen bis Würzburg, zwölf private und neun kirchliche Hochschuleinrichtungen sowie die sechs Pädagogischen Hochschulen Baden-Württembergs. Reich bebilderte Beiträge beleuchten verschiedenste Aspekte des universitären Lebens und der Forschungseinrichtungen und bieten über die reine Information hinaus ein fotografisches Stimmungsbild. Ein essenzielles Orientierungs- und Dokumentationswerk für Abiturienten, Studierende und Hochschulangehörige. Libraries, whether public or academic, can only provide their users with the services presented above if their existence is assured and their fund- ing bodies provide them with sufficient resources and staff. 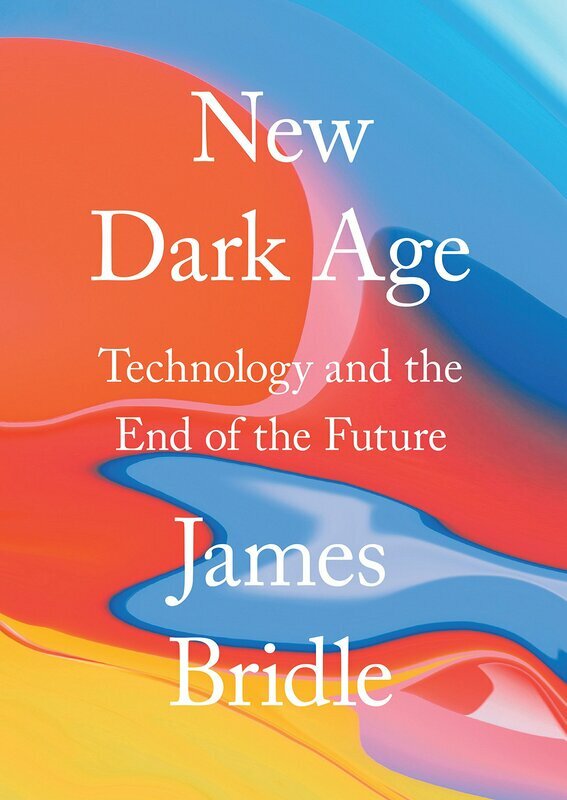 Thus the future of the library is not only a question of form and technology; it also has a political dimension. It is essential to make it clear not only to the political decision-makers but also to the media and to the nation in gen- eral that libraries are destined to play a key role in the information society. 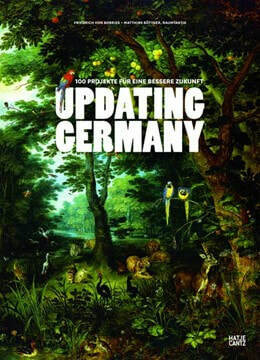 But they will only be able to do this role and its underlying expecta- tions justice if they recognize and accept the challenges presented by the information society, if they make sure they use every opportunity for technological innovation and organizational improvement and if they counteract the politi- cal, financial and structural weaknesses of the German library system with efficiency and effec- tiveness. Then they will remain what they have always been: Portals to the many new paths and visions of the future. 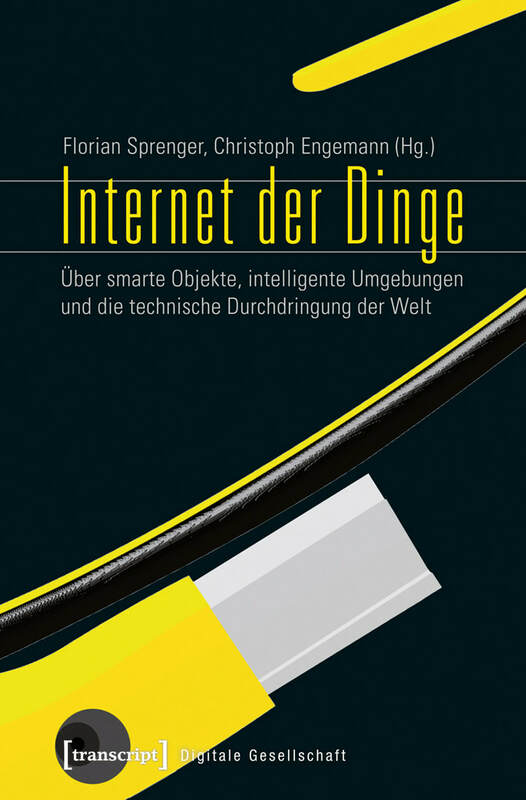 Für den Umgang mit Online-Medien, insbesondere Social Media, im deutschsprachigen Kulturbetrieb finden sich bislang nur zurückhaltende, fragmentarische Begründungsversuche, die bei näherer Betrachtung theoretische Inkonsequenzen aufweisen. Diese interdisziplinäre Studie von Simon A. Frank bewegt sich zwischen Kulturmanagement, -wissenschaft und Wirtschaftsinformatik. 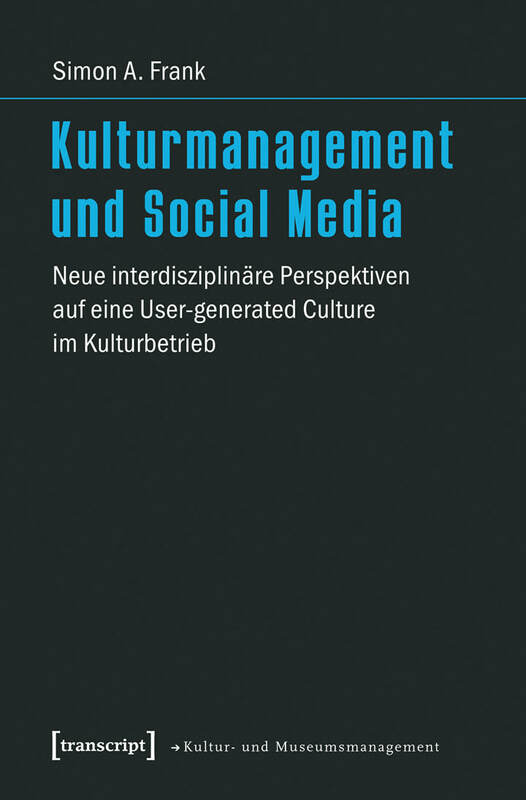 Sie entwickelt ein neues theoretisch fundiertes Konzept für Social Media im Kulturmanagement und zeigt, dass zwischen den tragenden Kunst- und Kulturtheorien, die derzeit das theoretische Fundament der Kultureinrichtungen bilden, sowie den aktuellen Internetpraktiken kein unversöhnlicher Gegensatz besteht. Von Gemütlichkeit und Grundgesetz, von Abendbrot bis Zerrissenheit. Alles was deutsch ist. 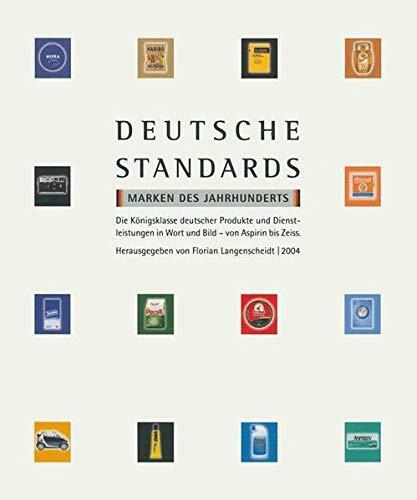 So ein Buch hat es noch nicht gegeben. Zwei Autoren, wie sie unterschiedlicher nicht sein könnten, erkunden liebevoll und kritisch, kenntnisreich und ohne Berührungsängste, was das eigentlich ist, die deutsche Seele. Sie spüren sie auf in so unterschiedlichen Begriffen wie »Abendbrot« und »Wanderlust«, »Männerchor« und »Fahrvergnügen«, »Abgrund« und »Zerrissenheit«. 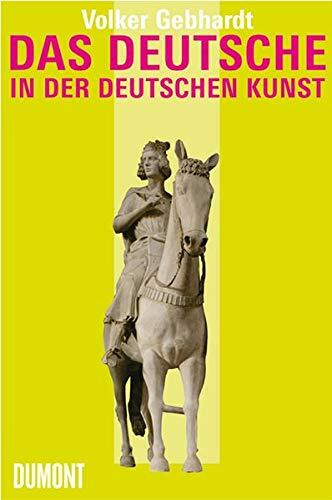 In sechzig Kapiteln entsteht auf diese Weise eine tiefgründige und facettenreiche Kulturgeschichte des Deutschen.Alle Debatten über Deutschland landen am selben Punkt im Abseits: Darf man das überhaupt öffentlich sagen, etwas sei »deutsch« oder »typisch deutsch«? Kann man sich mit dem Deutschsein heute endlich versöhnen? Man muss es sogar, meinen Thea Dorn und Richard Wagner. Sie verspüren eine große Sehnsucht danach, das eigene Land wirklich kennen zu lernen, und machen Inventur in den Beständen der deutschen Seele. 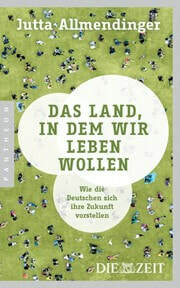 Ihr Buch ist eine erkenntnisreiche und unterhaltsame Reise an die Wurzeln unseres nationalen Erbes und geht durchaus ans Eingemachte. Obwohl es sich auch als Enzyklopädie lesen lässt, sind die Texte nicht aus nüchterner Distanz geschrieben. Auf diese Weise entstehen leidenschaftliche Plädoyers für bestimmte Merkmale des Deutschen, für ein damit verbundenes Lebensgefühl. 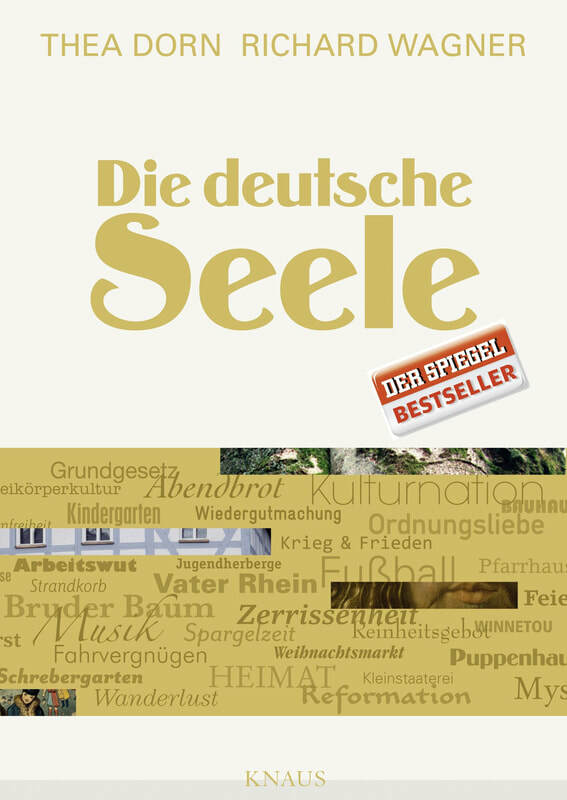 Diese »Liebeserklärung« der Autoren ist ein sinnliches, reich bebildertes Buch, das die deutsche Seele einmal nicht seziert, sondern sie anspricht. Unterwegs in. Eine neuartige Kombination aus Bildband, Reiseführer und Atlas! Eine opulente Reiseenzyklopädie, die umfassende Orientierung und kompaktes Wissen bietet. Der bilderreiche und informative Hauptteil ist nach Regionen bzw. nach Reiserouten gegliedert und beschreibt so die schönsten Plätze, die man gesehen haben muss. Ergänzt wird jeder Band durch informative Tourenkarten, Stadtpläne sowie einen detaillierten Straßenatlas zur Orientierung. 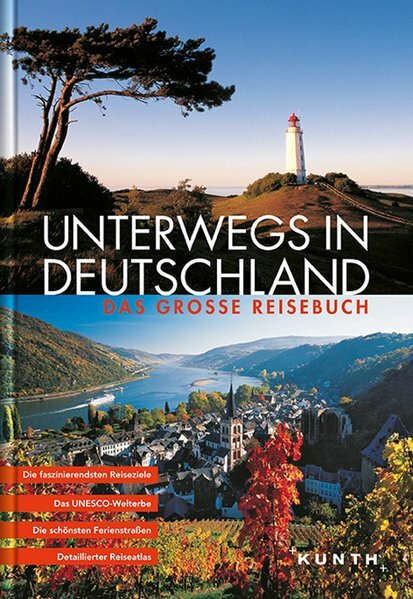 Das Geschenkbuch Mein Ort in Deutschland - Was macht einen Ort zu einem besonderen Ort in unserem Leben versammelt die ca. 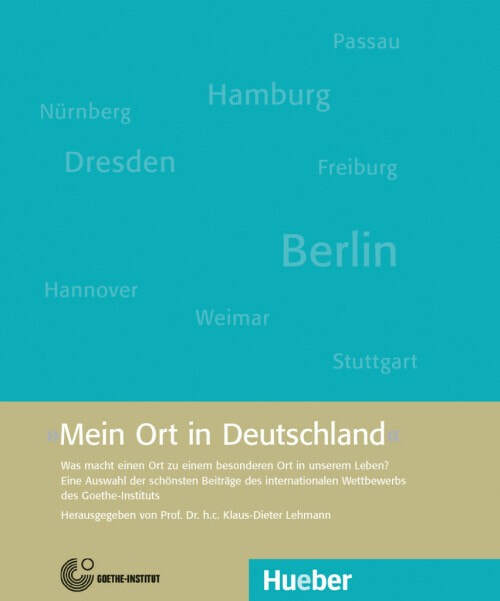 80 schönsten und interessantesten Einsendungen zum gleichnamigen internationalen Wettbewerb "Mein Ort in Deutschland", bei dem Menschen aus aller Welt berichten, wie Parkbänke, Wegkreuzungen, Stadtviertel, ganze Städte, Landschaften oder völlig andere kleine und große Orte in Deutschland durch Atmosphäre, Architektur oder Begegnungen zu "ihrem" Ort geworden sind. ​Der Geschenkband enthält darüber hinaus zahlreiche Beiträge prominenter Persönlichkeiten. Das Vorwort stammt aus der Feder von Prof. Dr. Klaus-Dieter Lehmann, dem Präsidenten des Goethe-Instituts. Qualitativ hochwertige Illustrationen in ansprechender Bildsprache runden die optische Ästhetik ab.